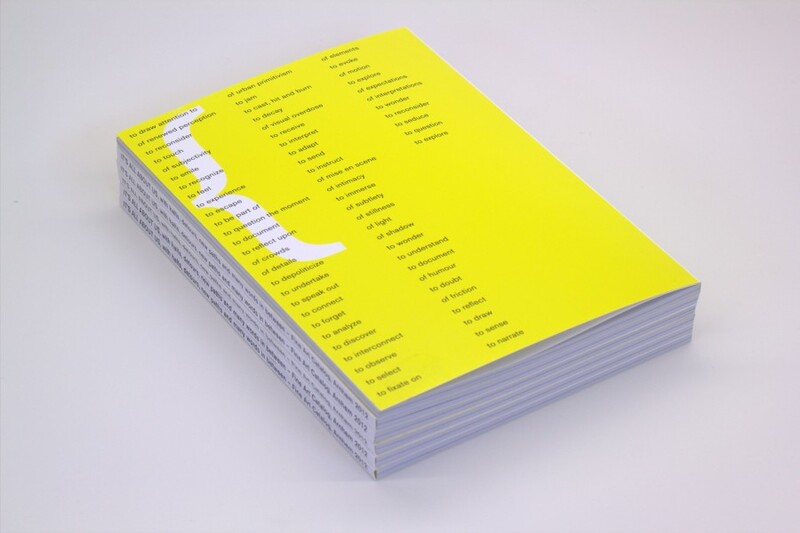 Jeff Talks is an ongoing series of lectures at a small graphic design studio in Istanbul, EK Ltd. 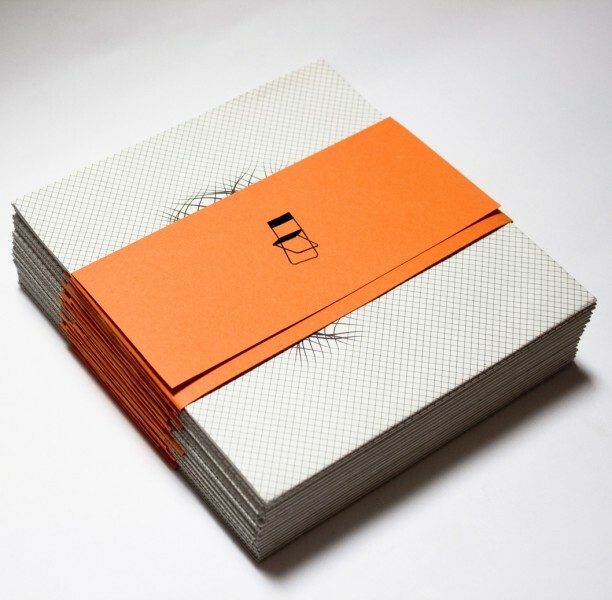 I had the honour to design the posters and invitations for the debut event, as well as the website of Jeff Talks and the logo. 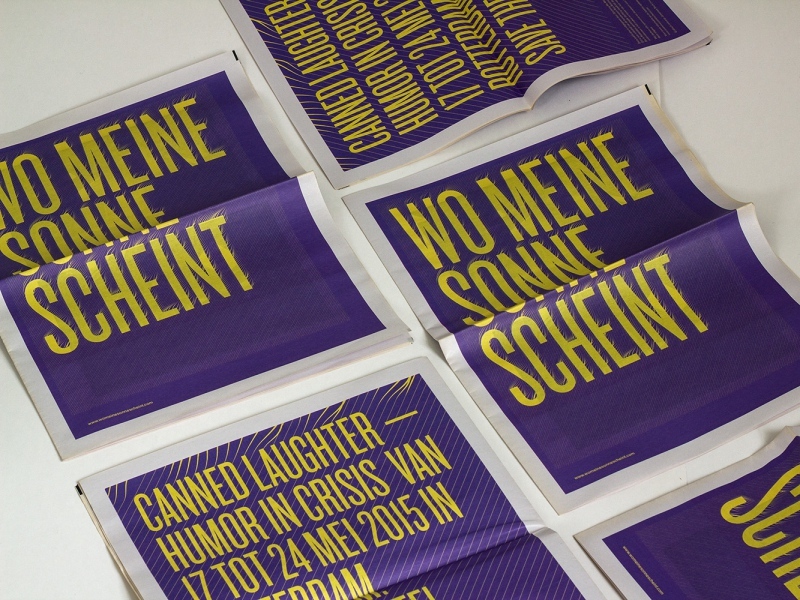 The poster works as a public announcement and a personal invitation at the same time. 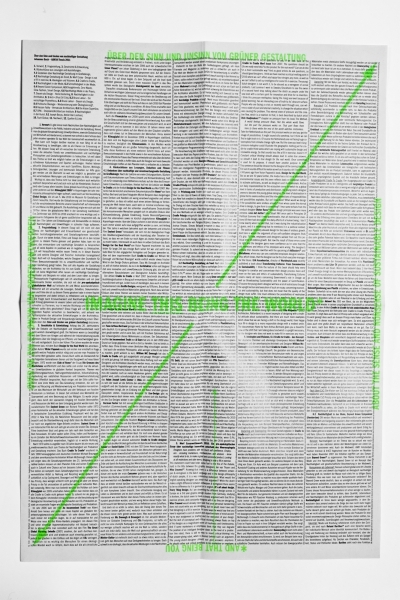 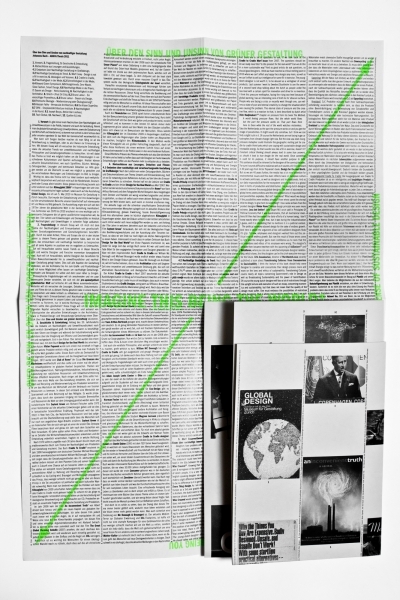 The first reading was held by typedesigner Peter Brugger from Stuttgart on 26 November 2010 in Istanbul. 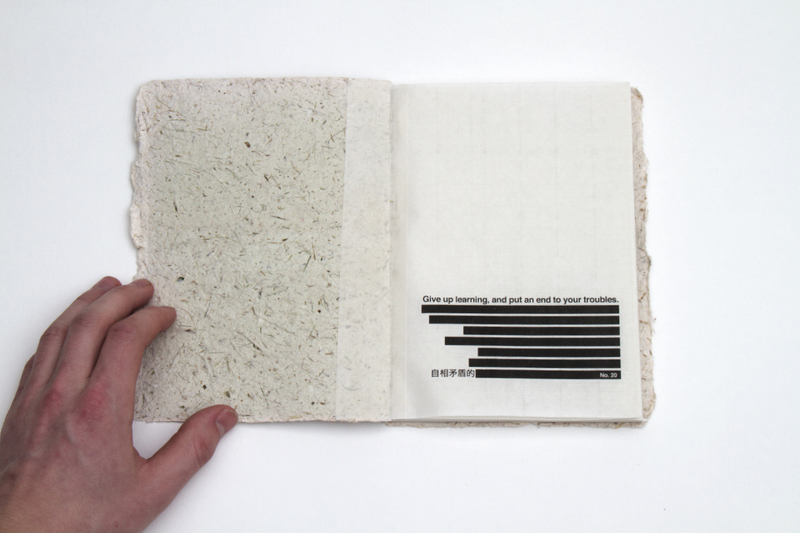 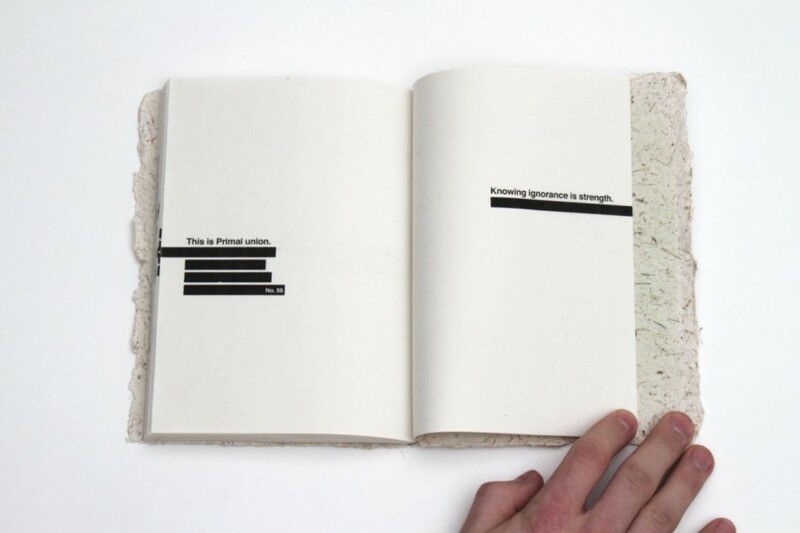 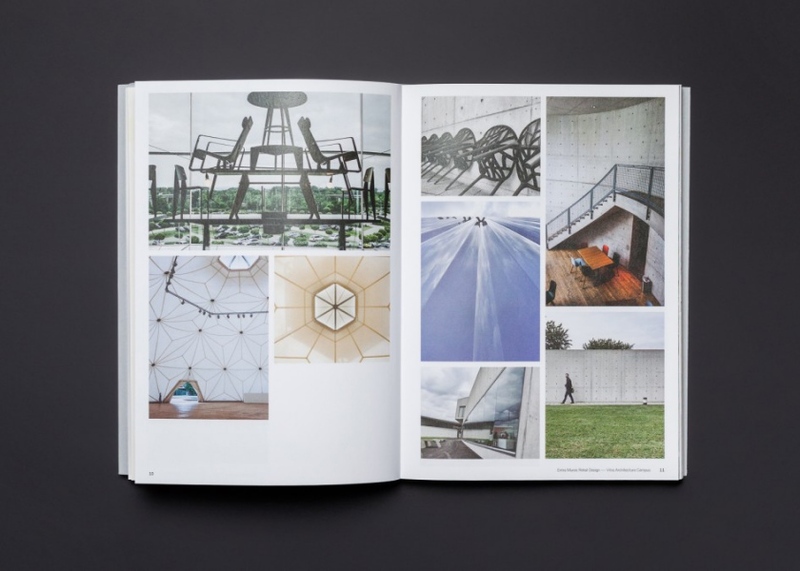 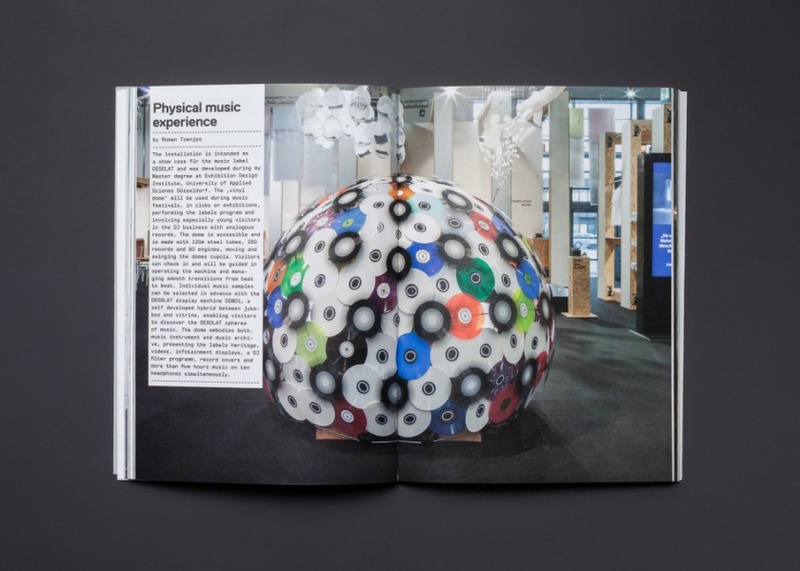 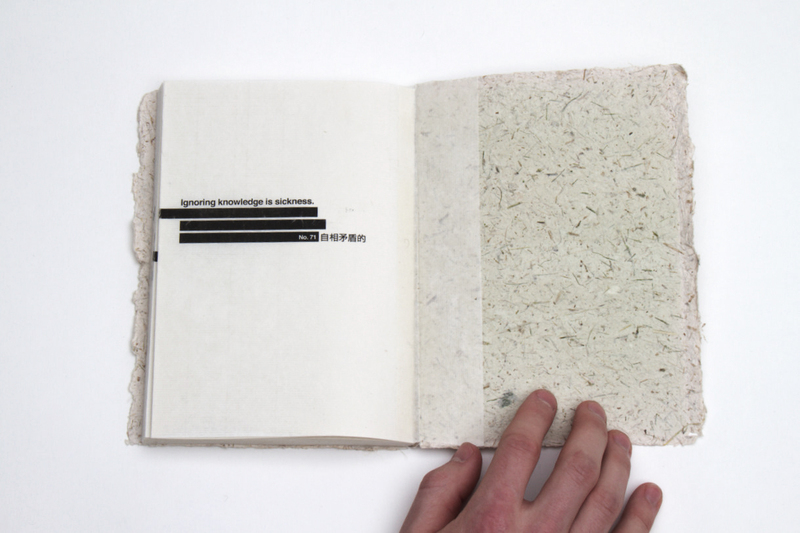 A bachelor thesis About the sense and nonsense of sustainable design. 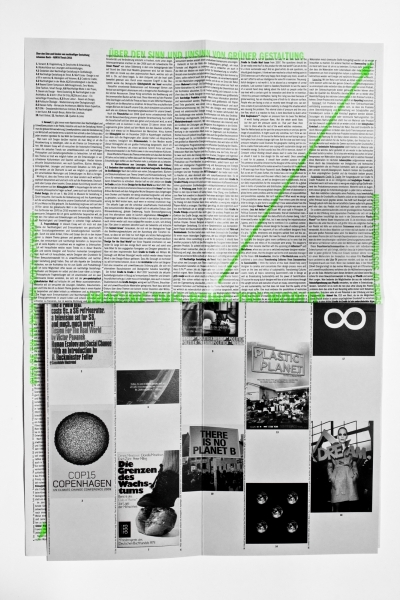 Using the content and the conclusion about the idea behind sustainable design concepts I put the 14.000 words of my thesis onto one A3 sheet. 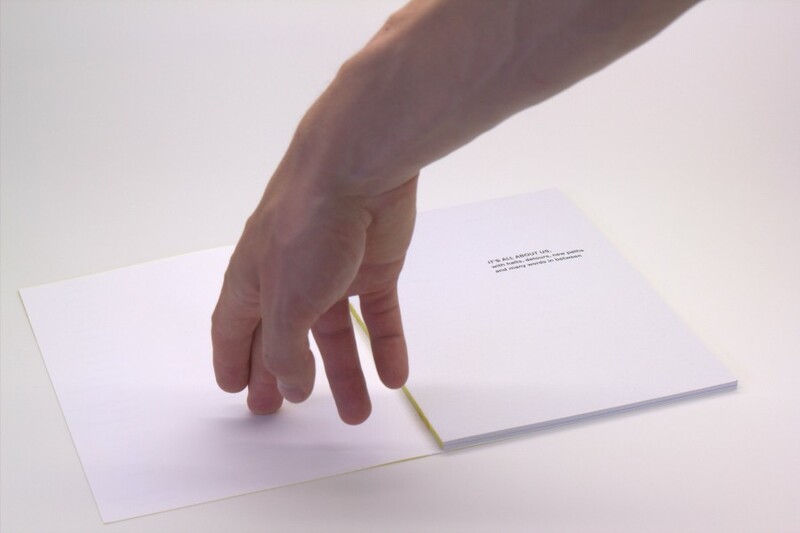 Maintaining maximum use of space and material. 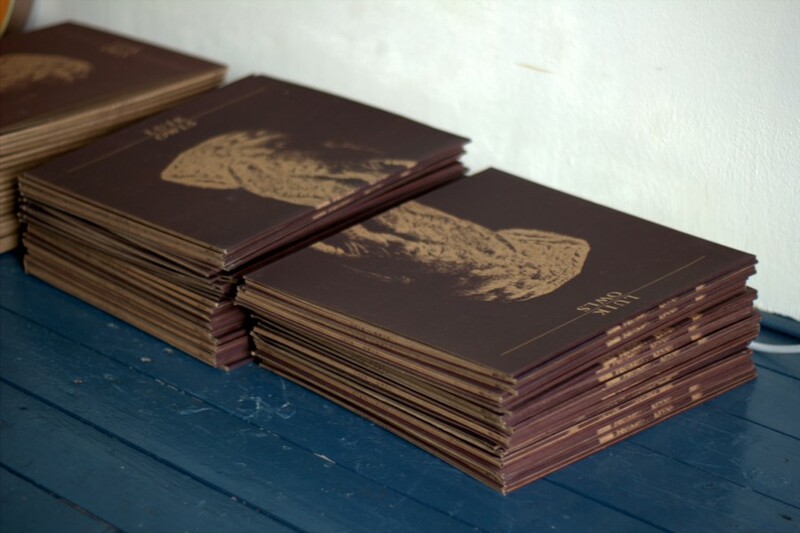 An artwork we created in collaboration with Beatrijs Dikker & Romy Lammerse. 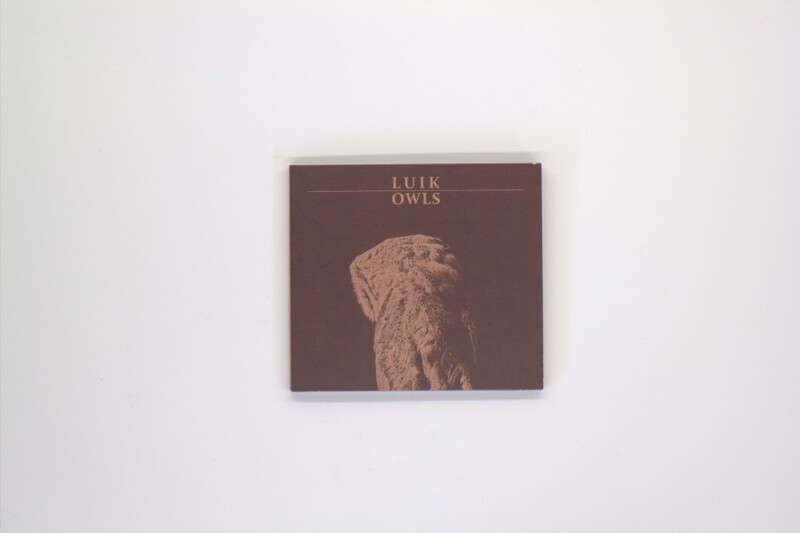 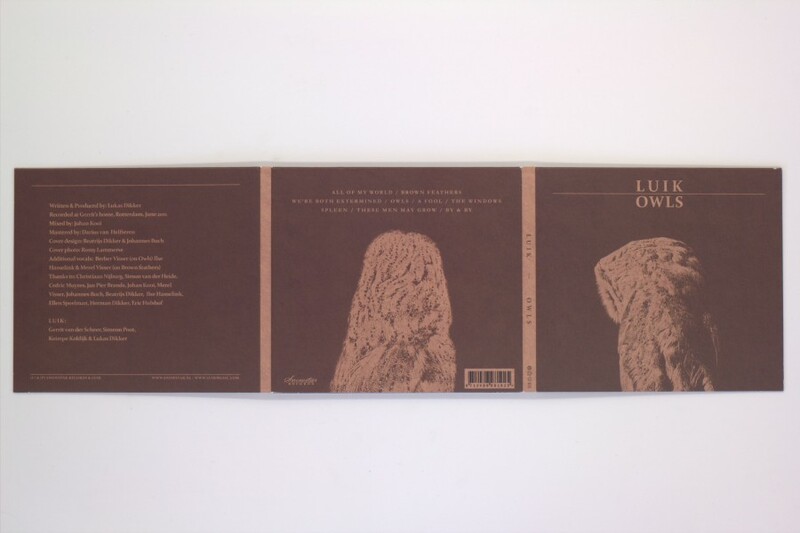 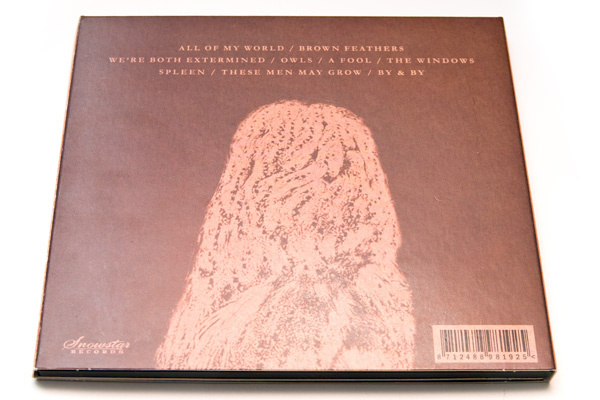 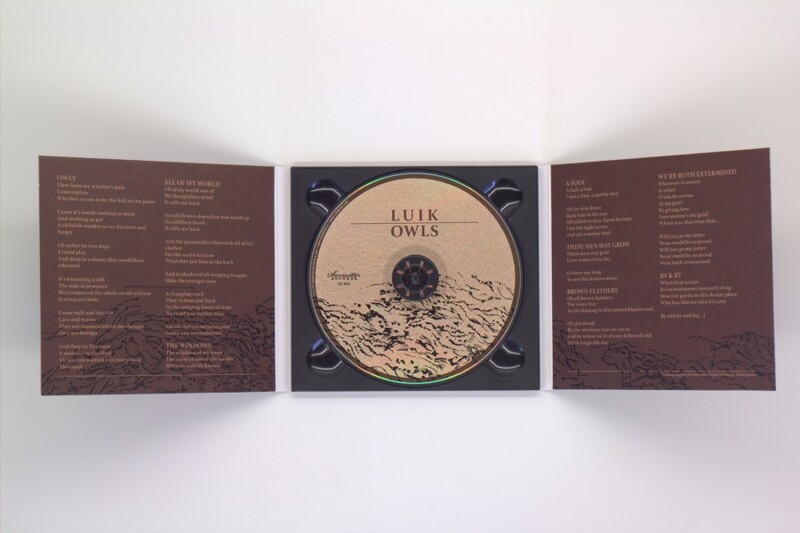 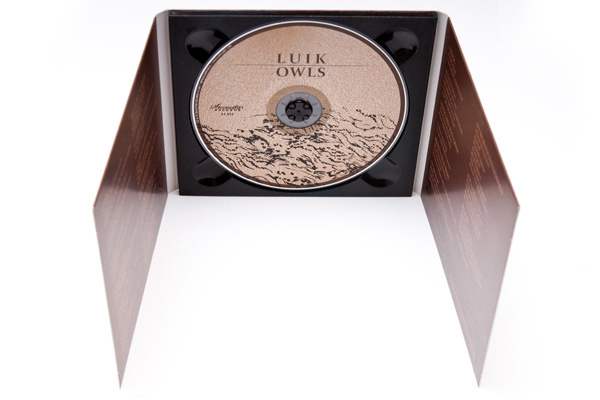 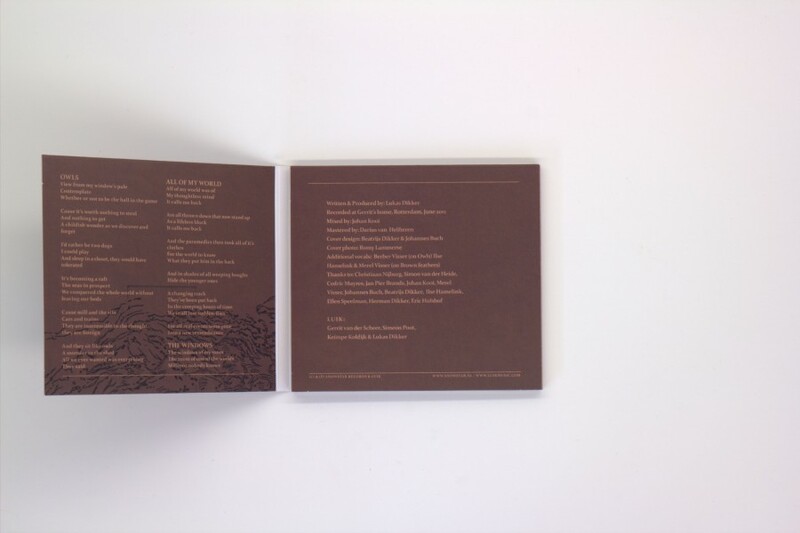 It is a tryptich digipack for the debut album OWLS of the fresh Indie Band LUIK from Rotterdam, The Netherlands, 2011. 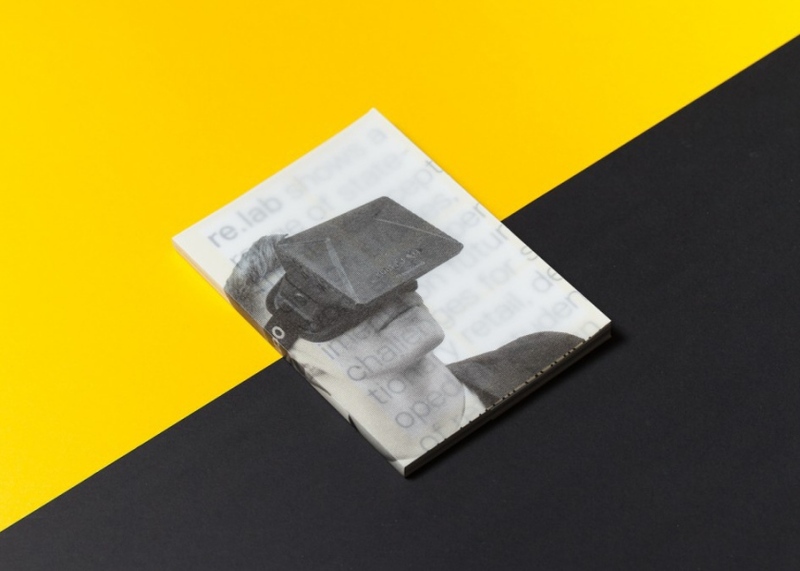 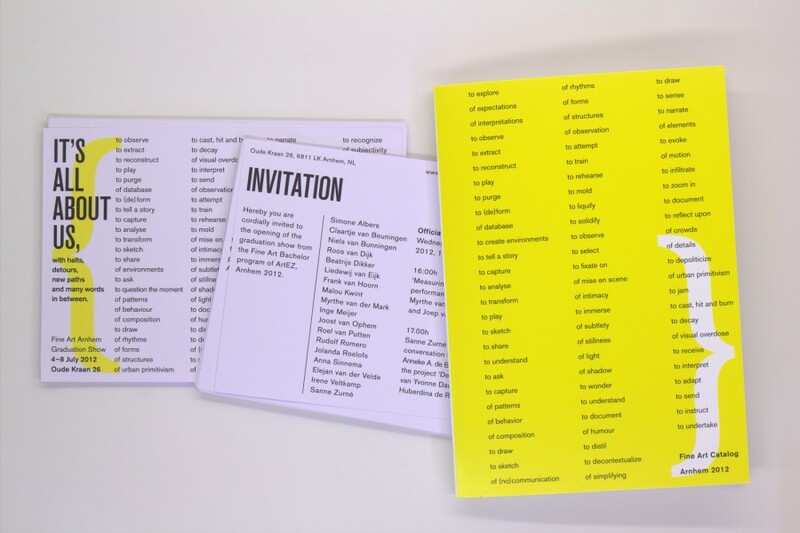 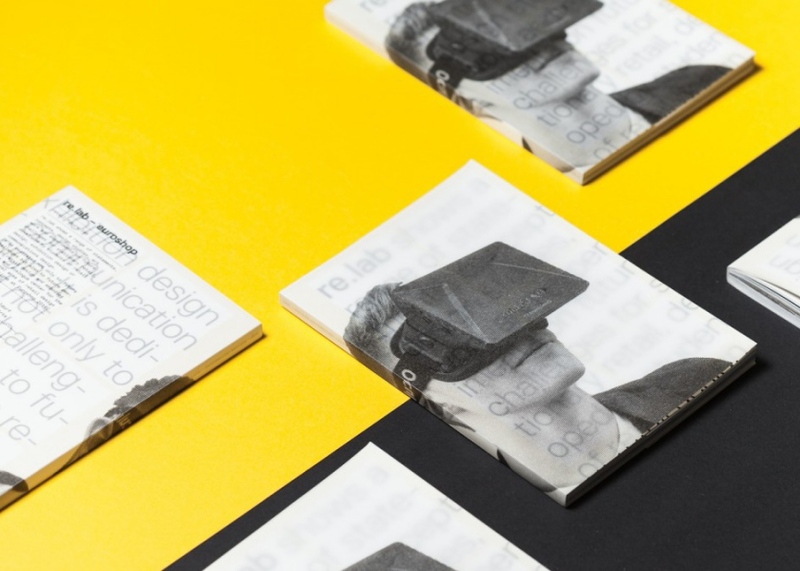 A guidebook for the Fine Art Bachelor graduate exhibition from ArtEZ Institute of the Arts, Arnhem. 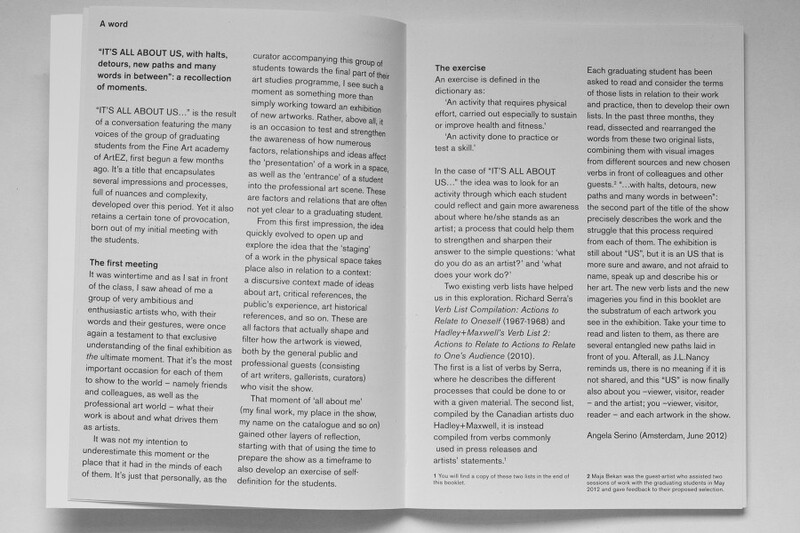 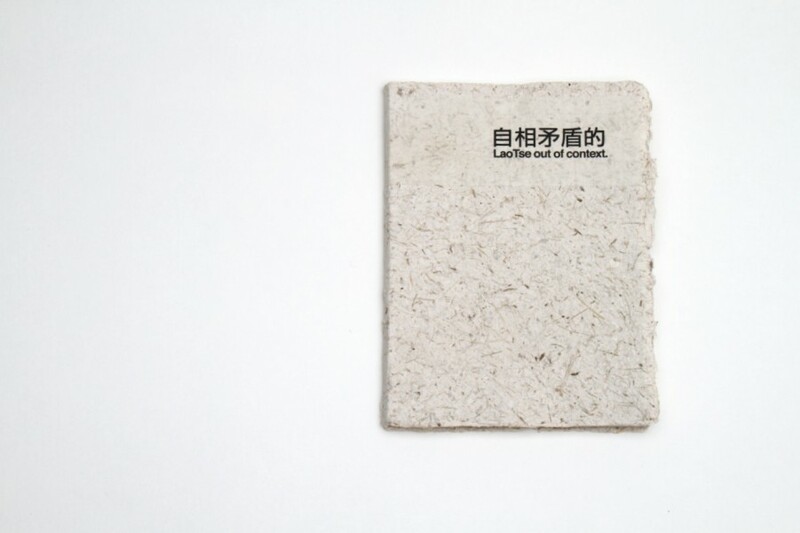 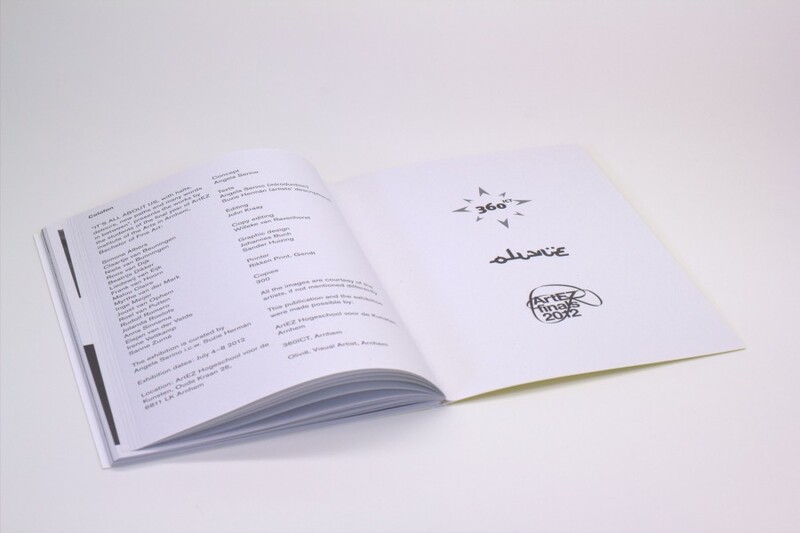 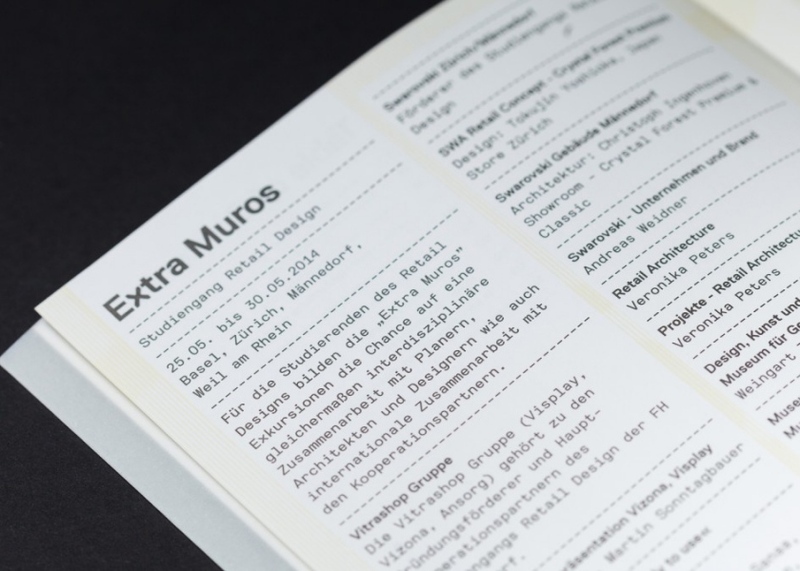 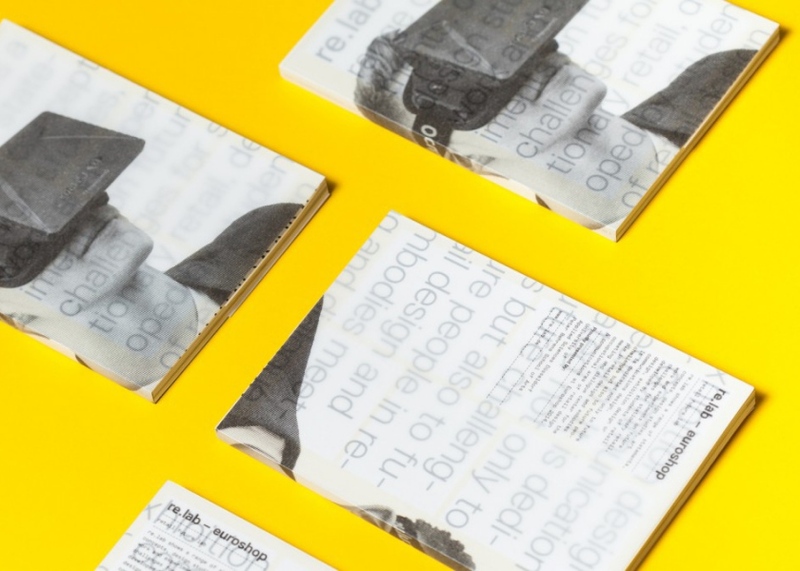 Commissioned by the graduates class and curator Angela Serino, we created a translation of the curators' textual concept into a small guidebook. 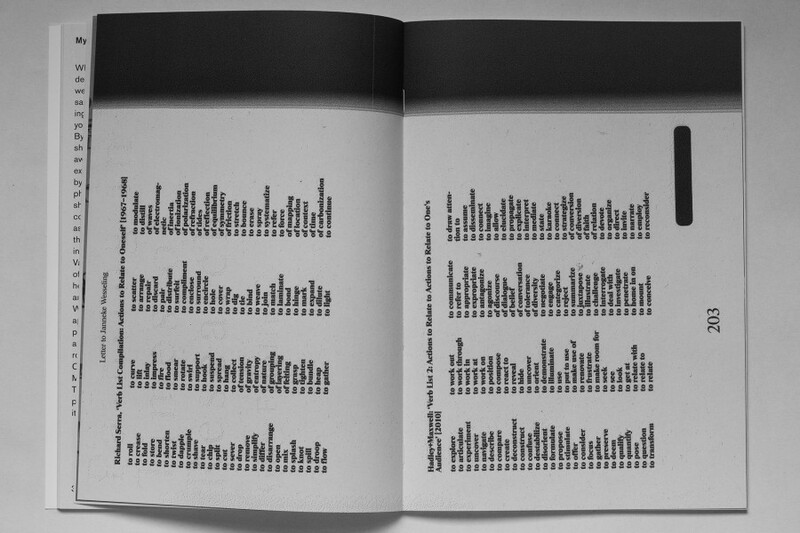 Inspired by the popular verb lists of Hadley+Maxwell and Richard Serra. 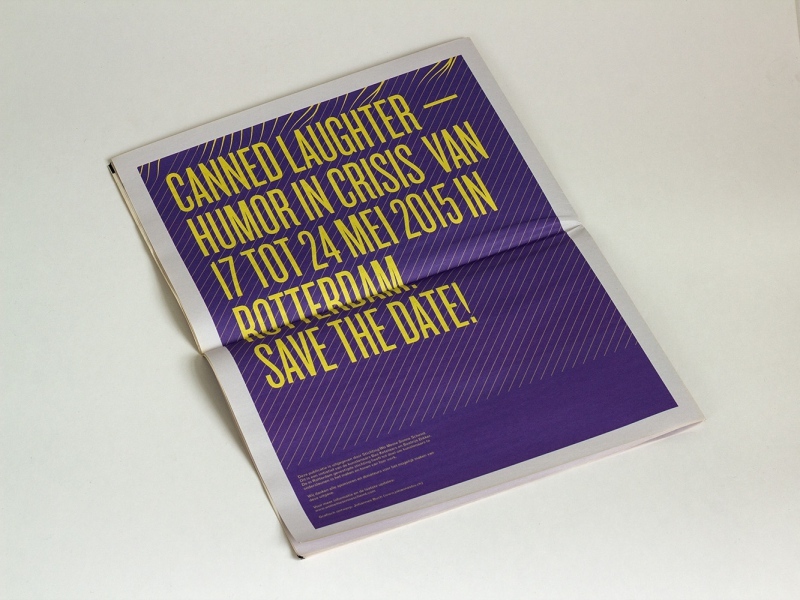 A collaboration with Sander Huizing. 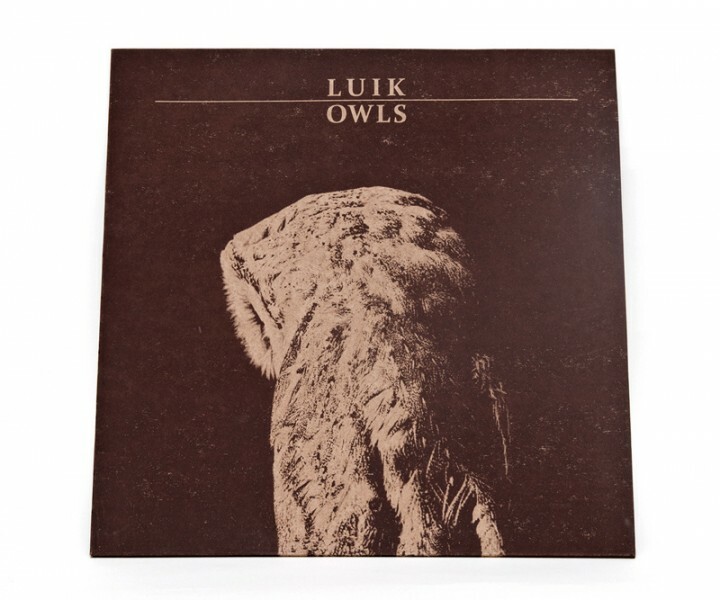 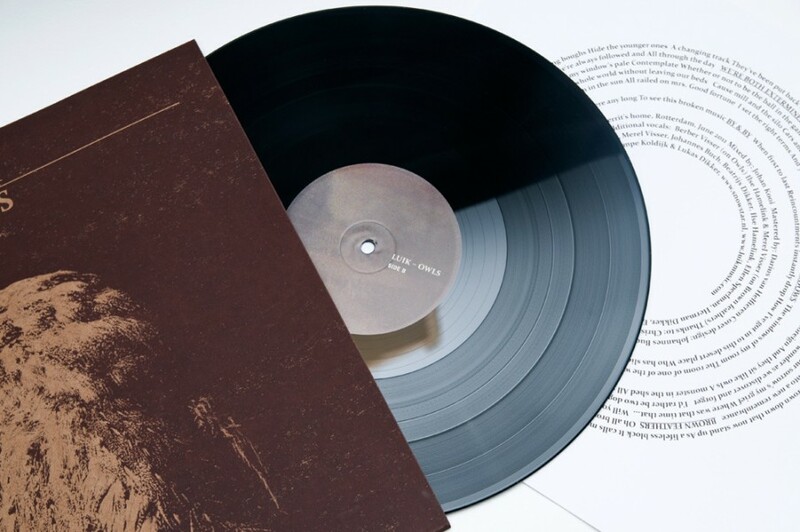 An LP artwork we created in close collaboration with the Rotterdam based band LUIK. 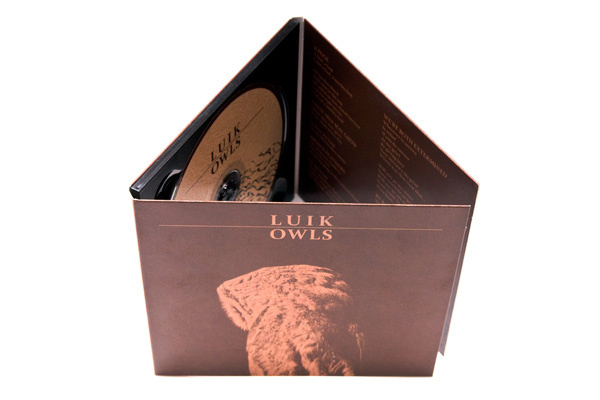 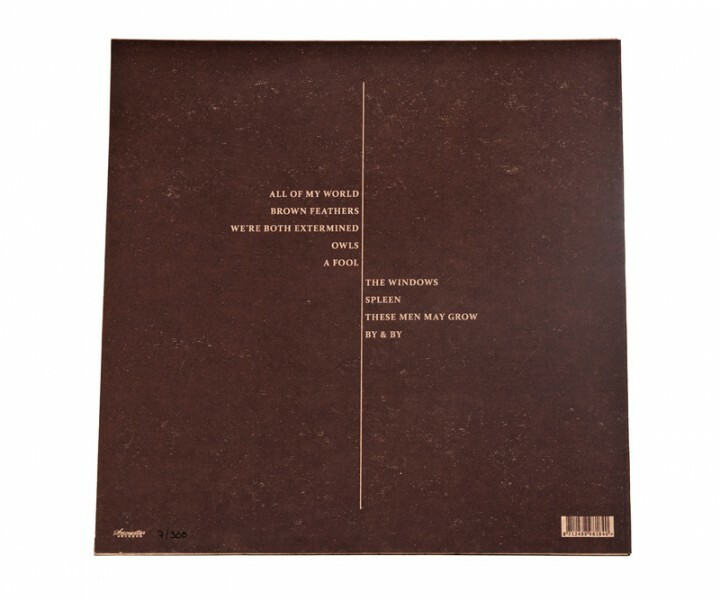 It is the follow up on their digipack for the debut album OWLS. 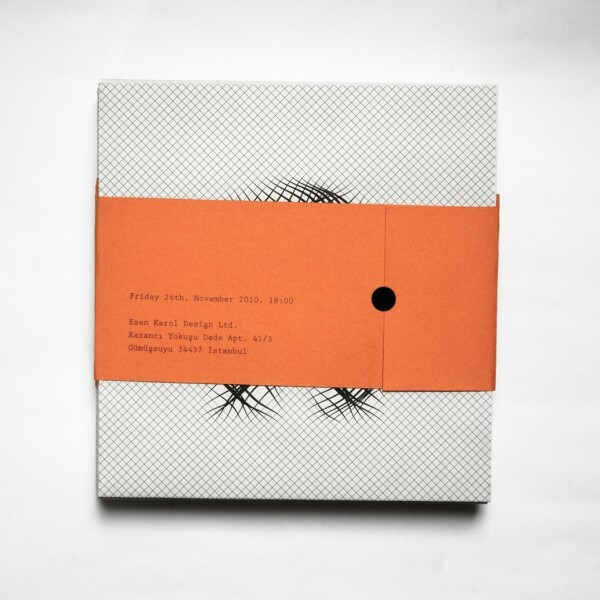 Silk Screen printed, hand folded and signed. 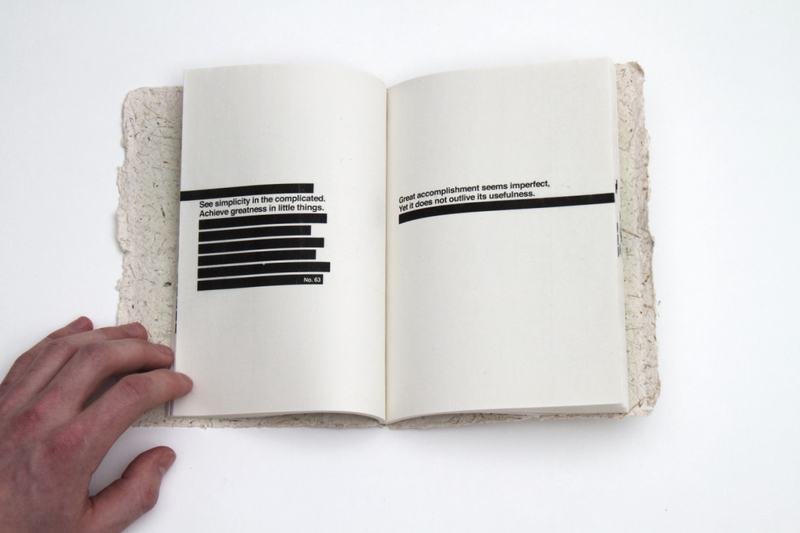 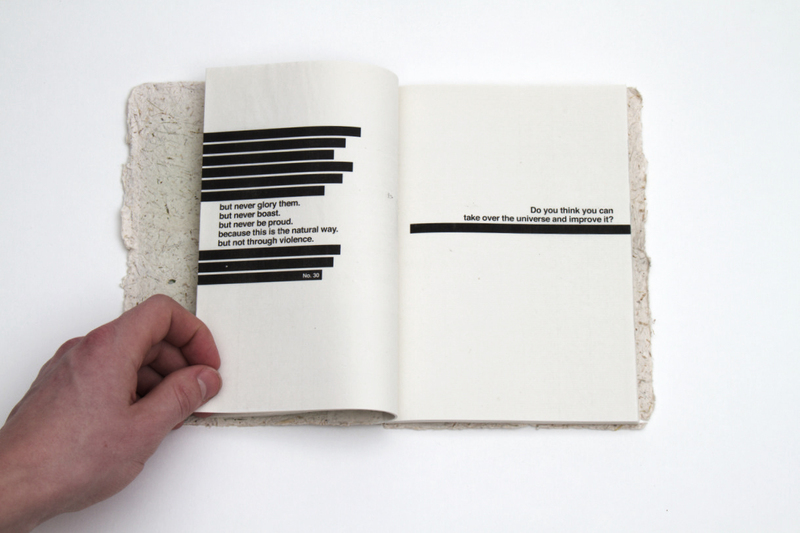 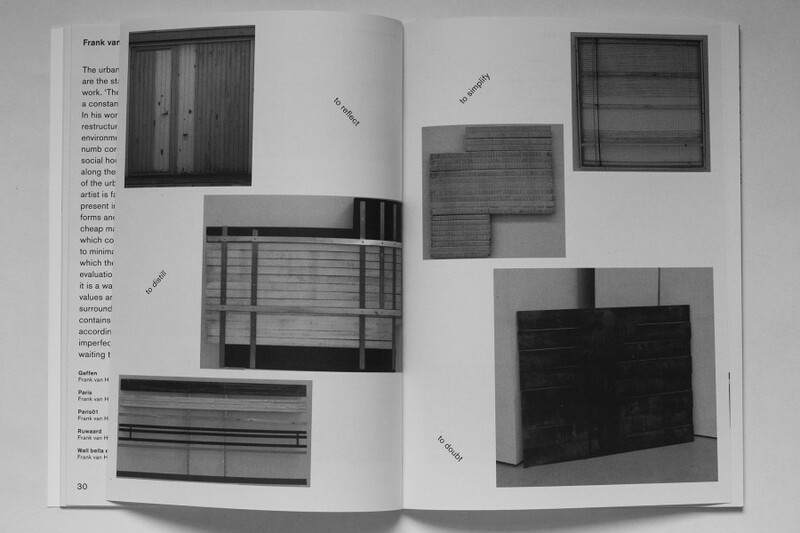 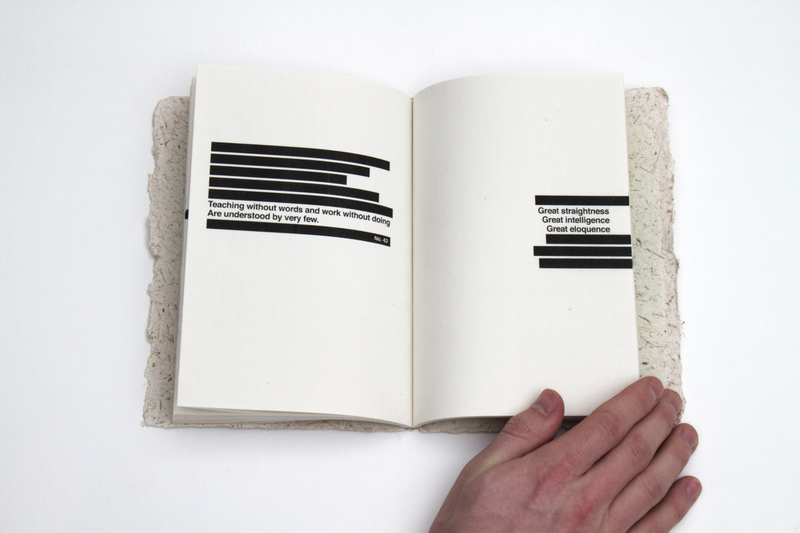 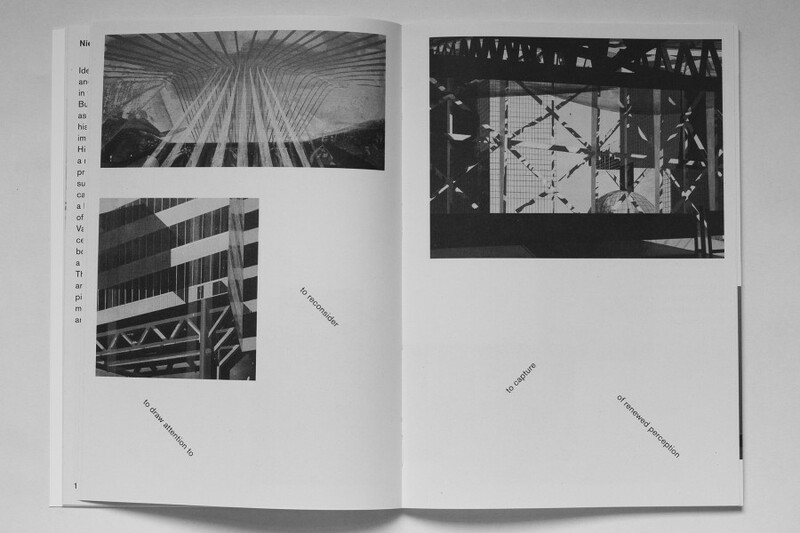 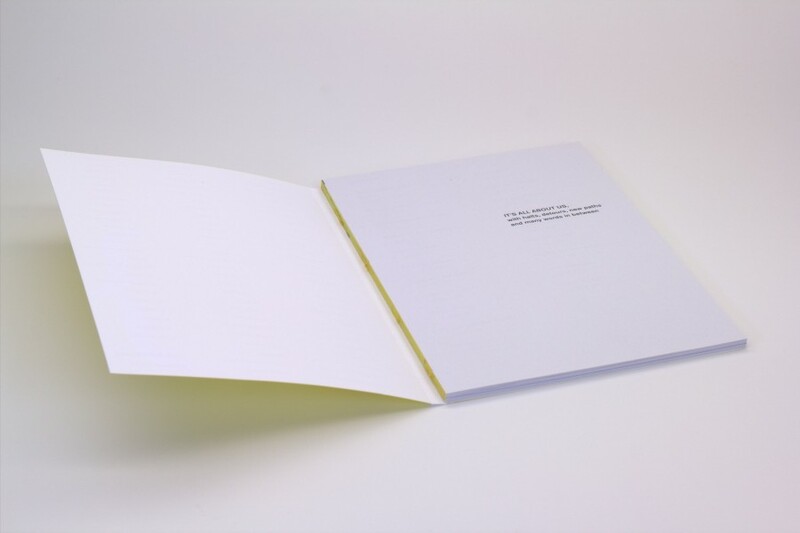 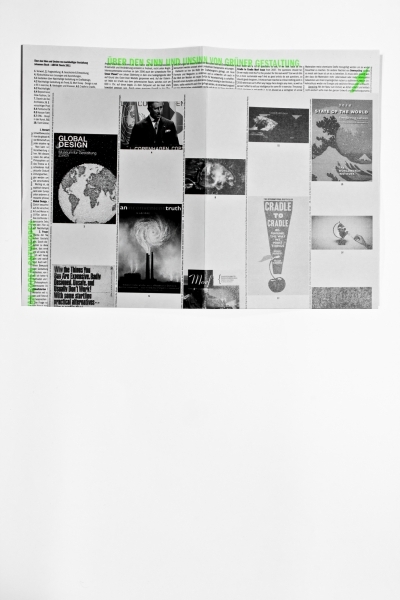 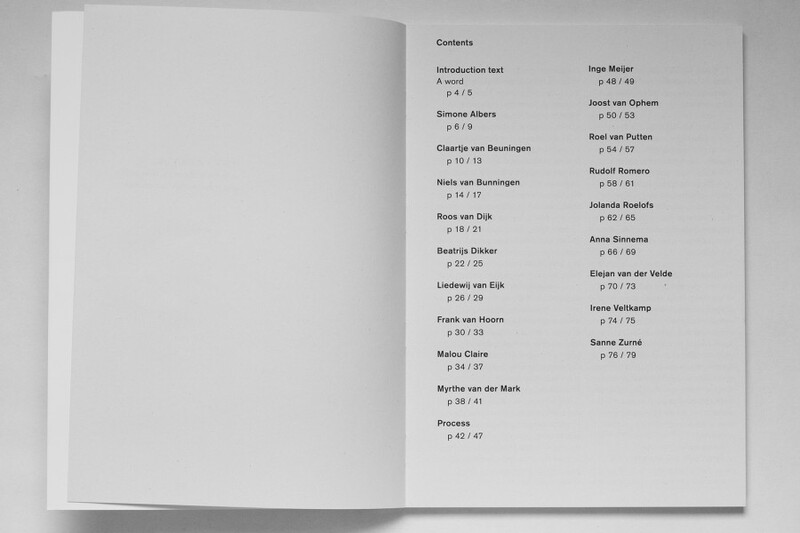 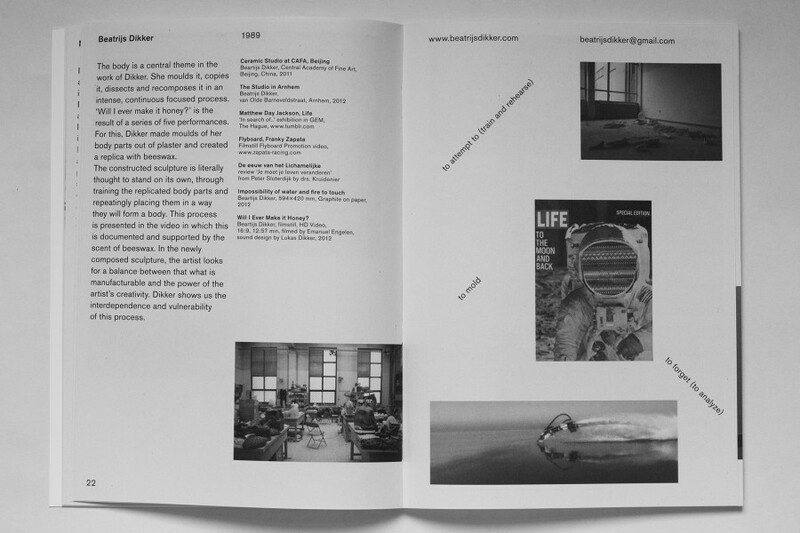 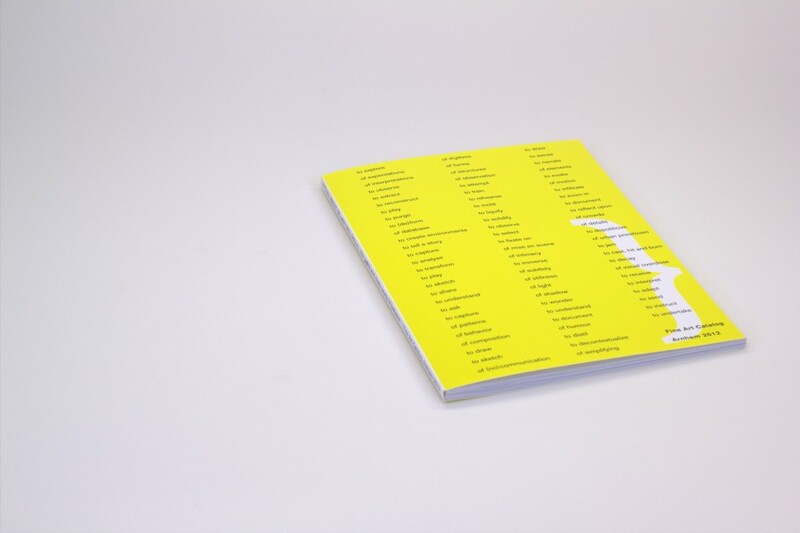 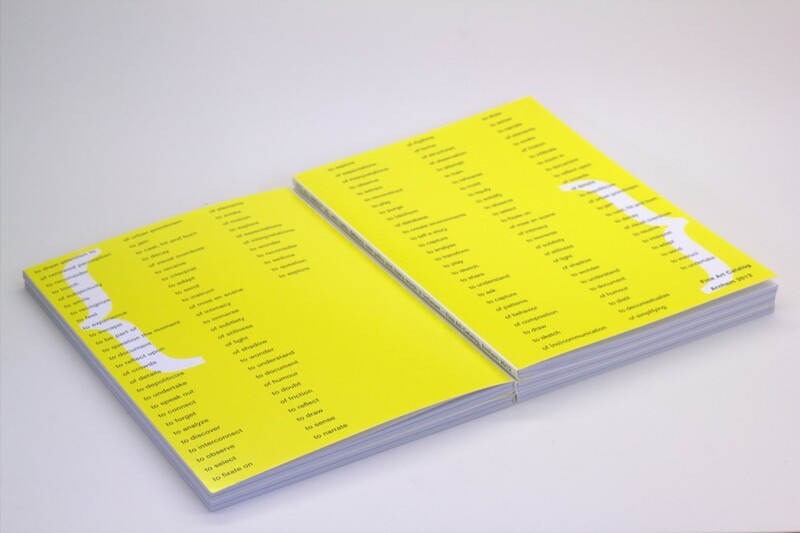 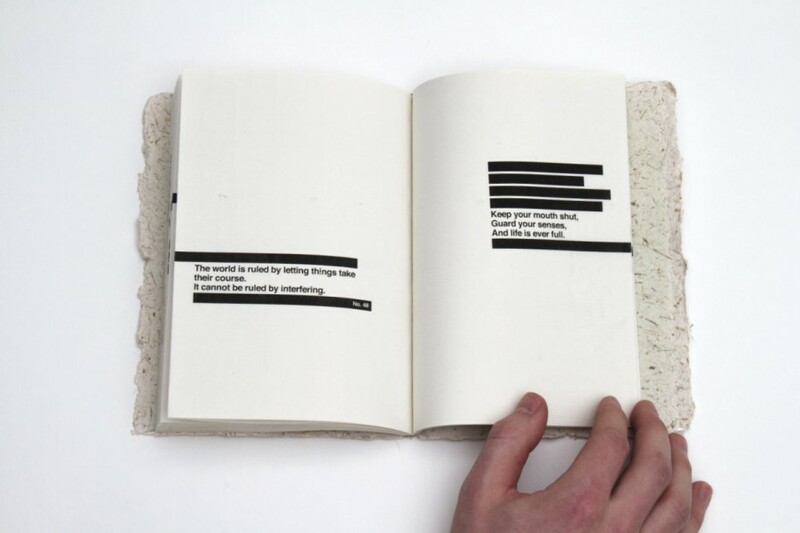 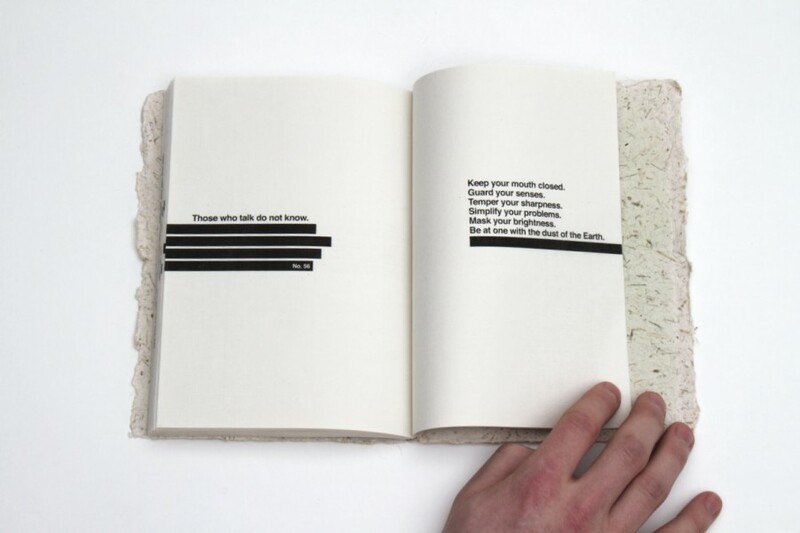 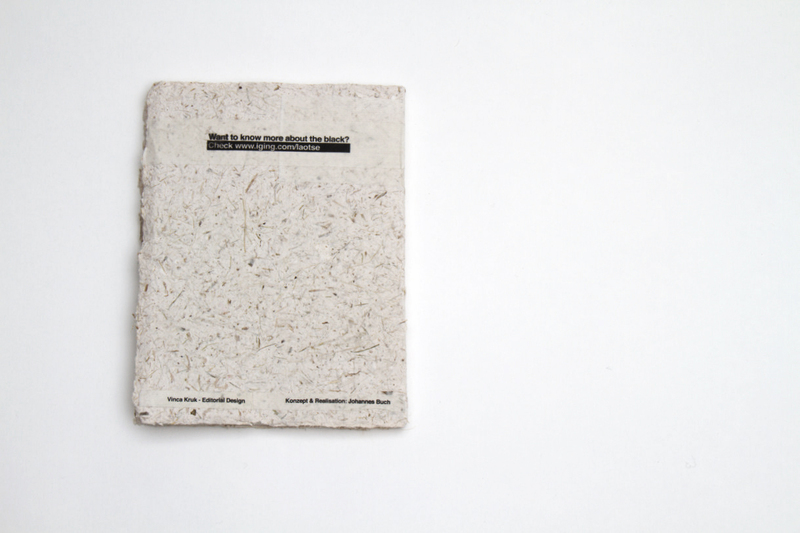 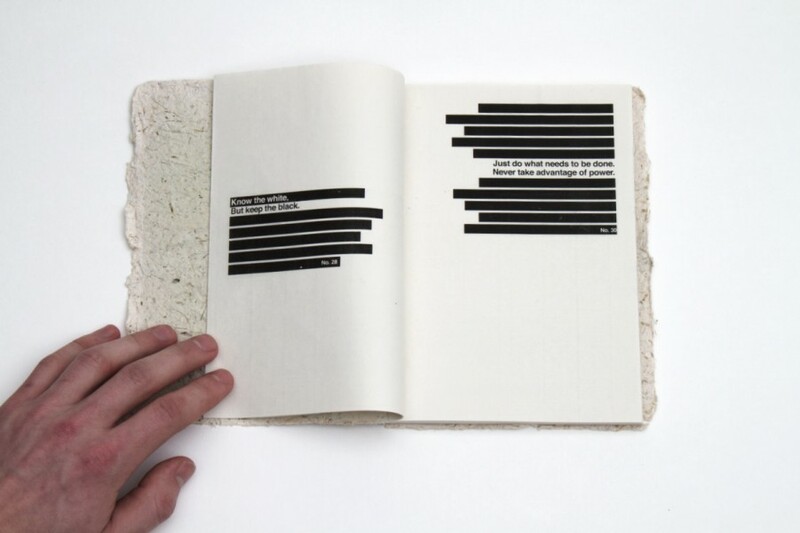 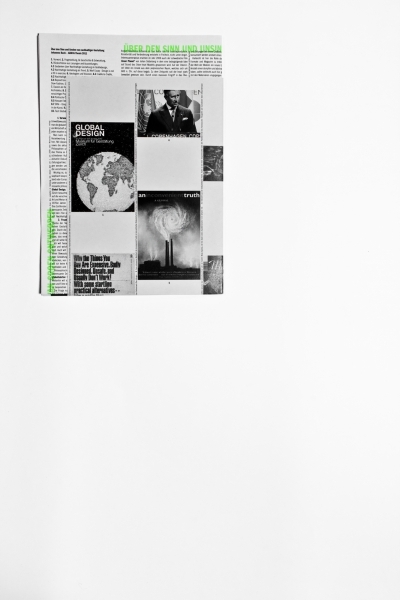 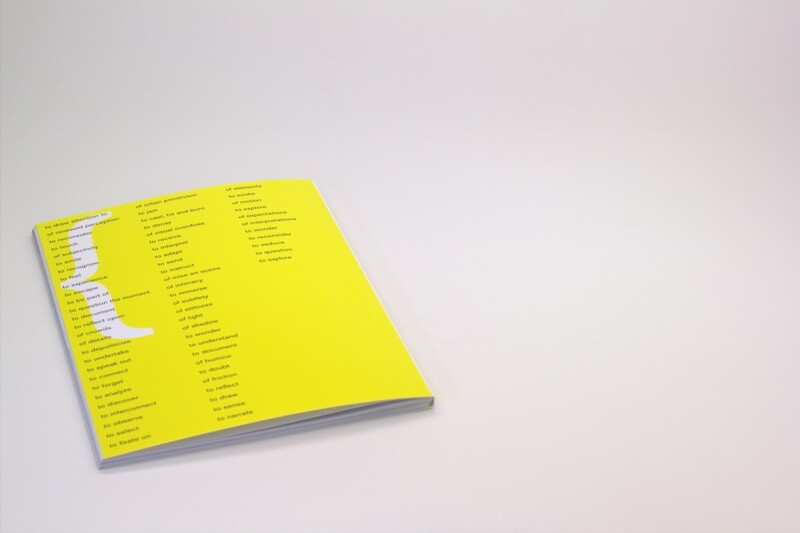 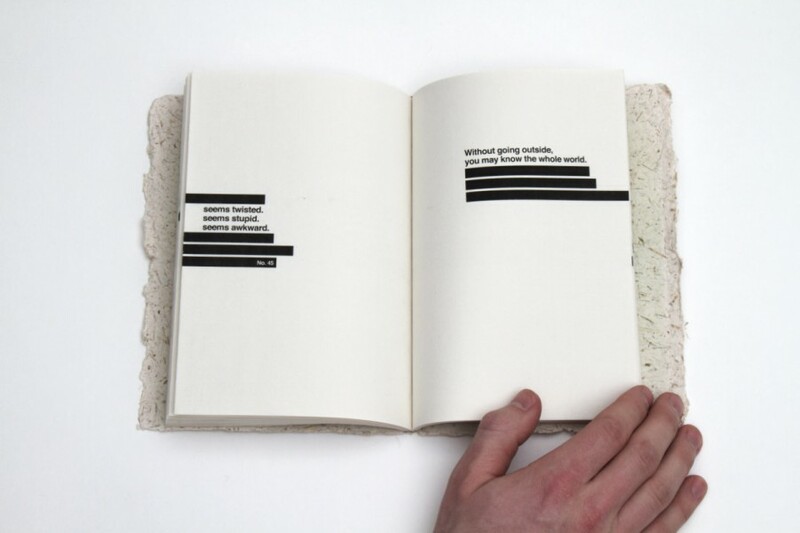 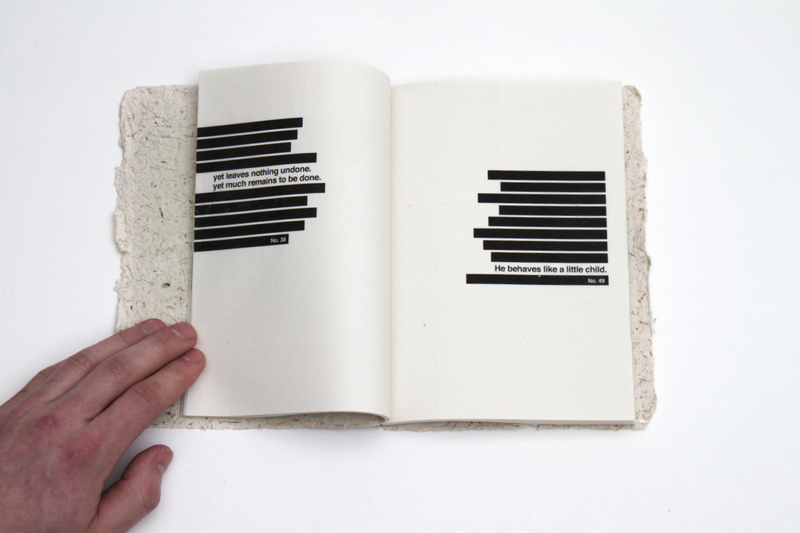 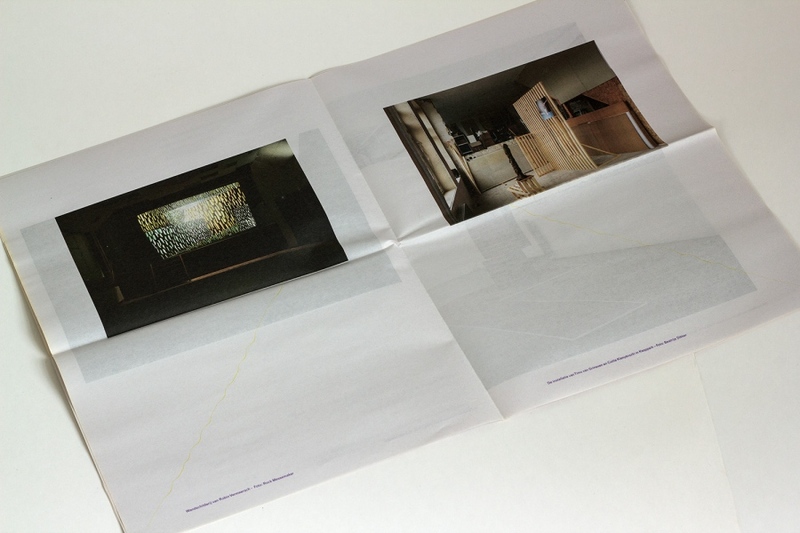 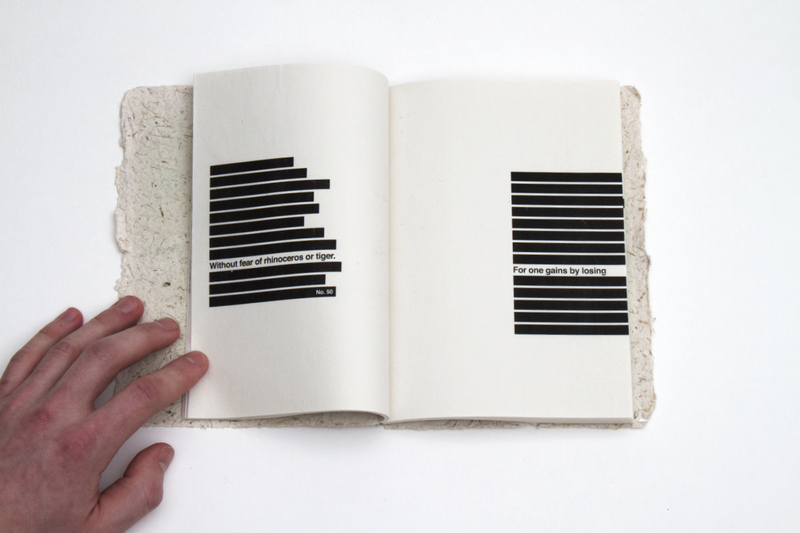 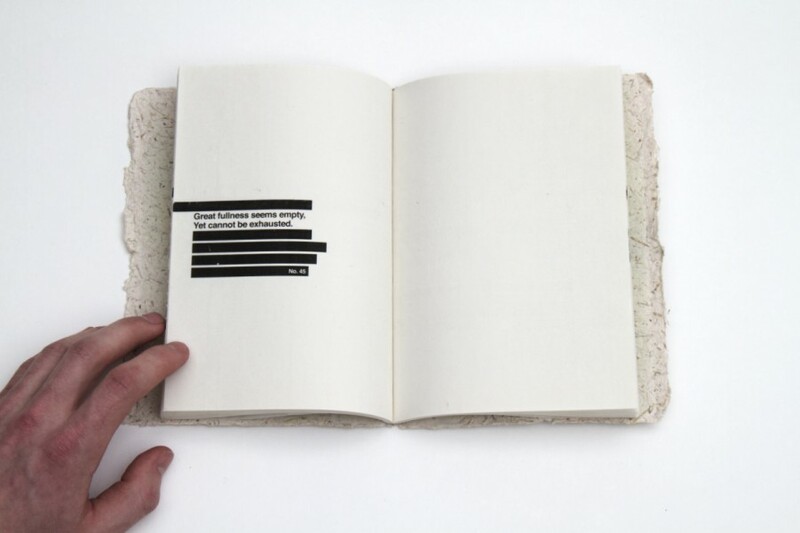 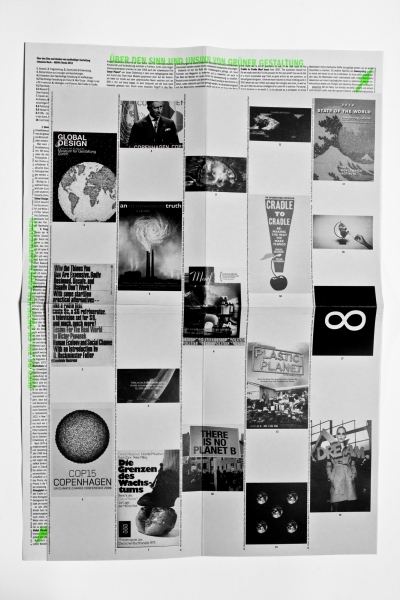 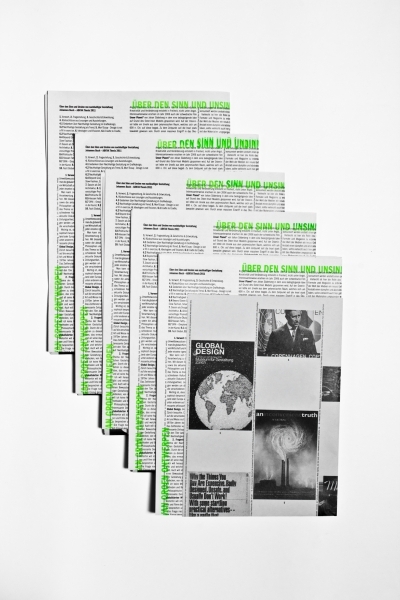 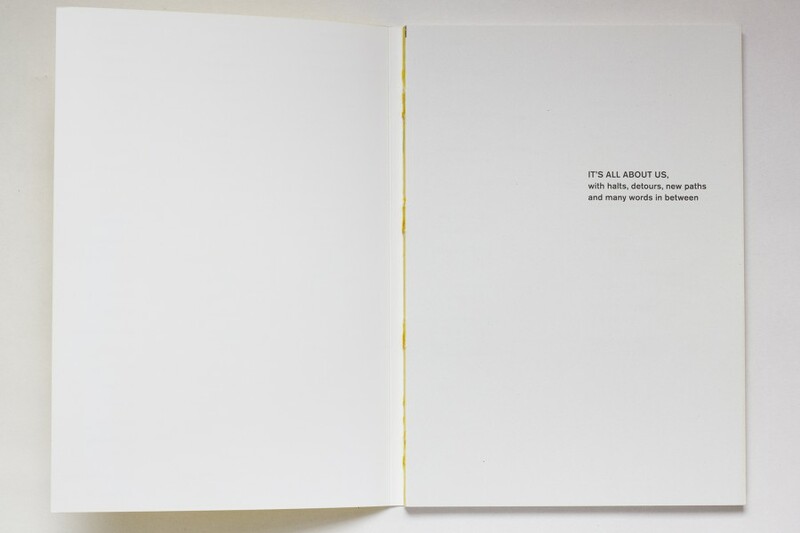 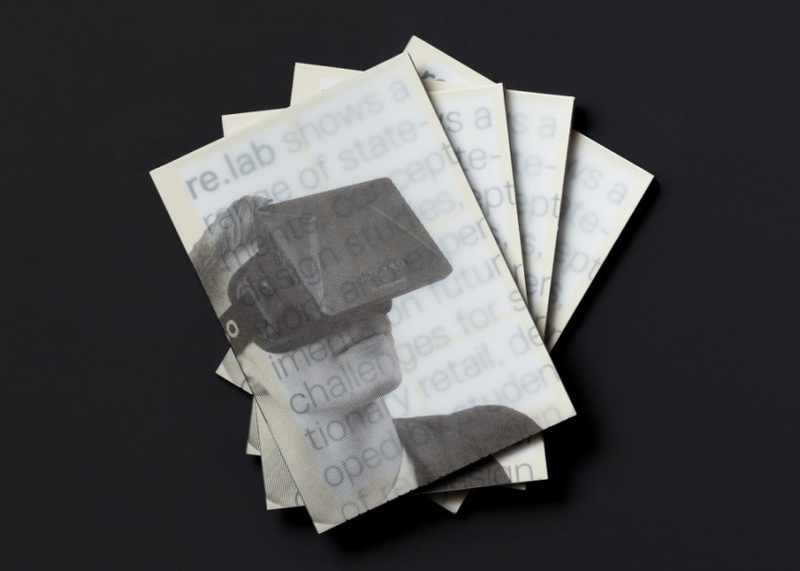 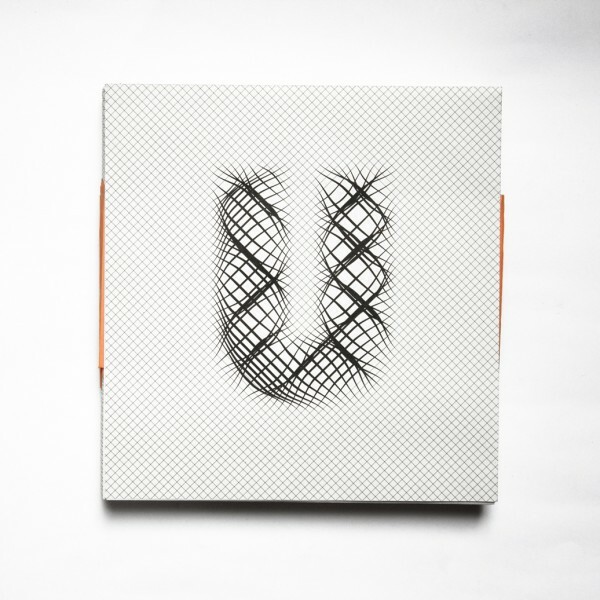 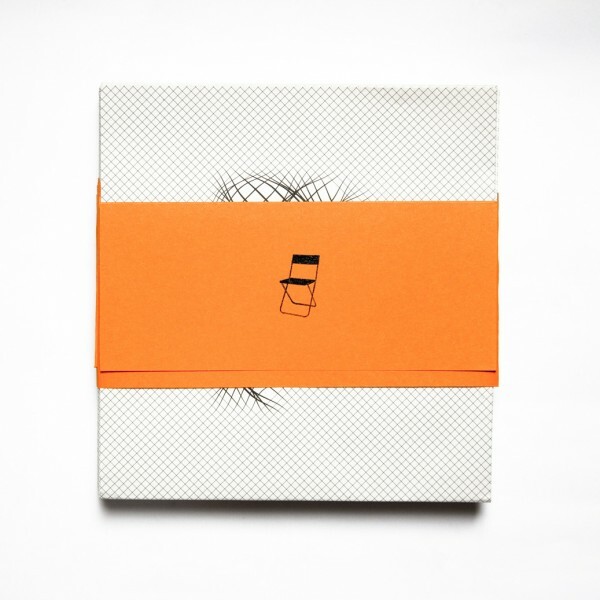 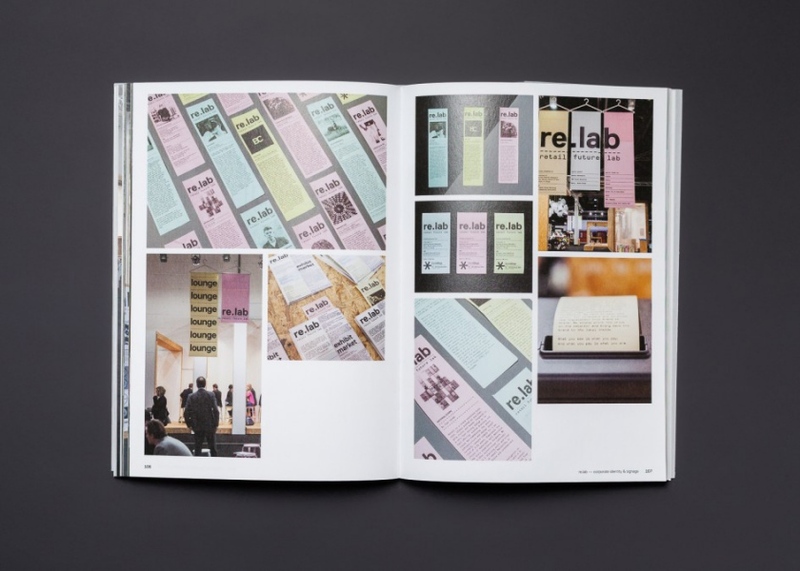 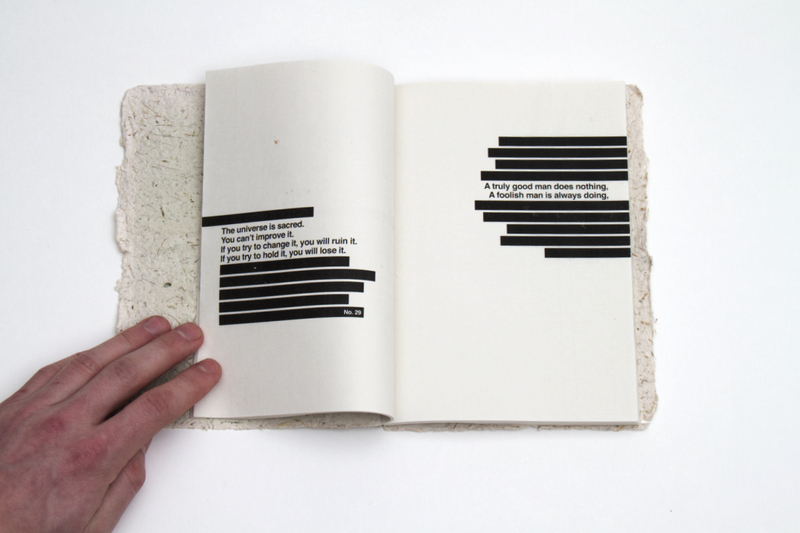 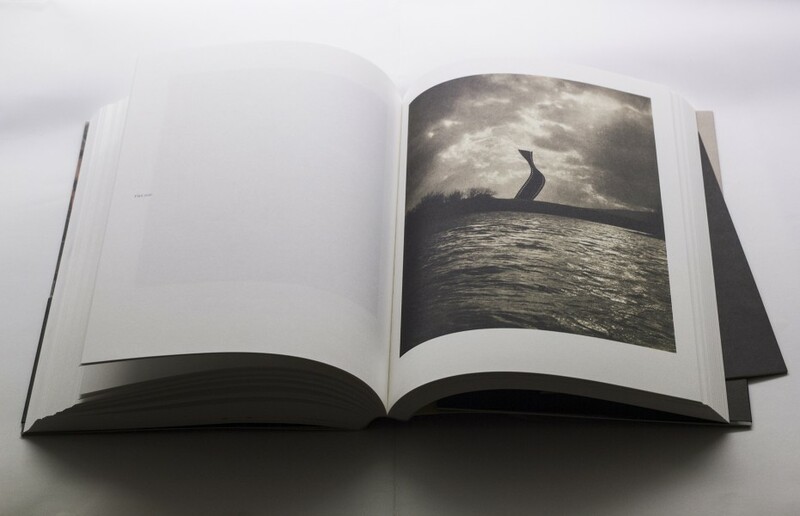 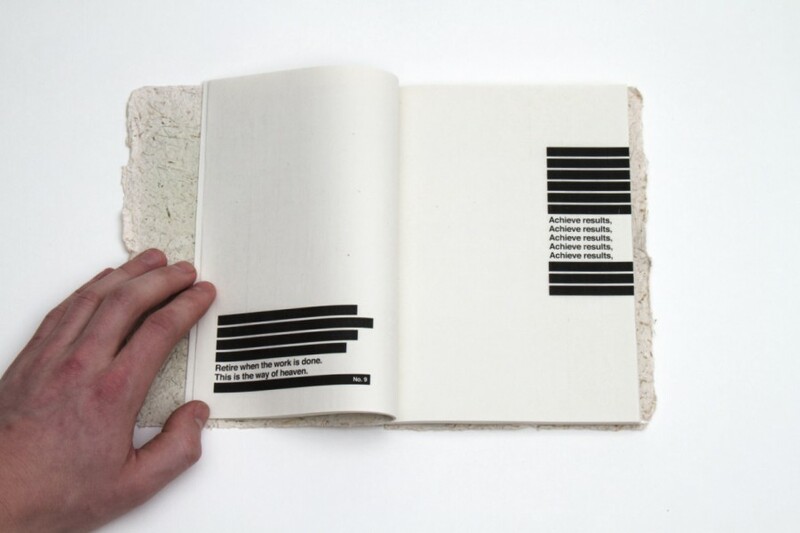 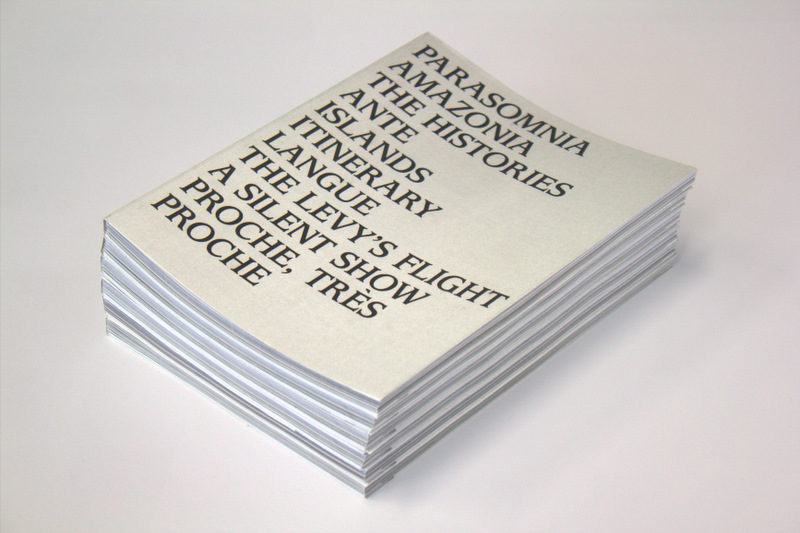 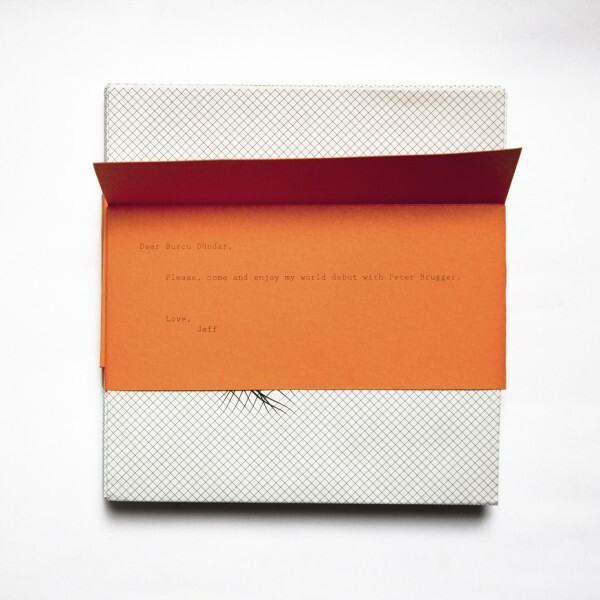 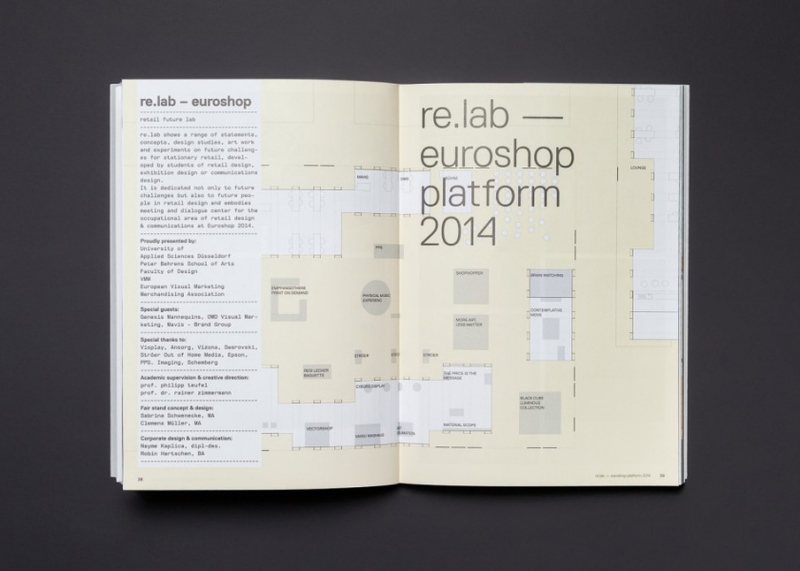 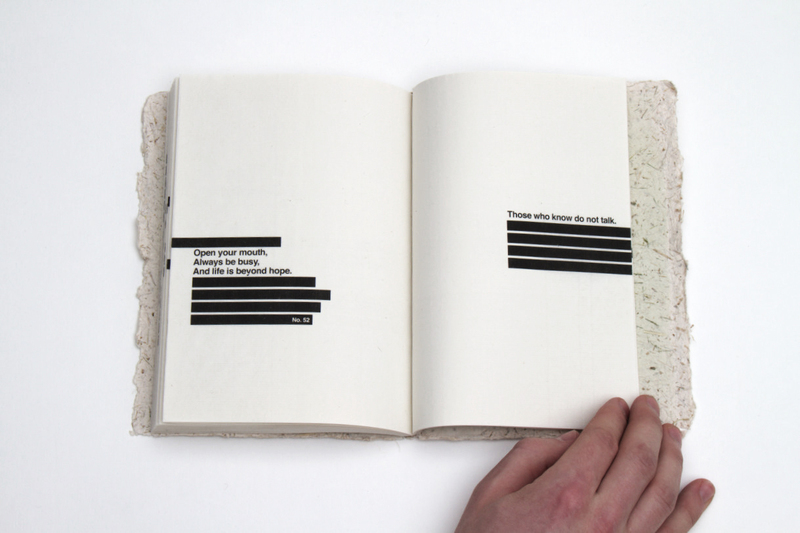 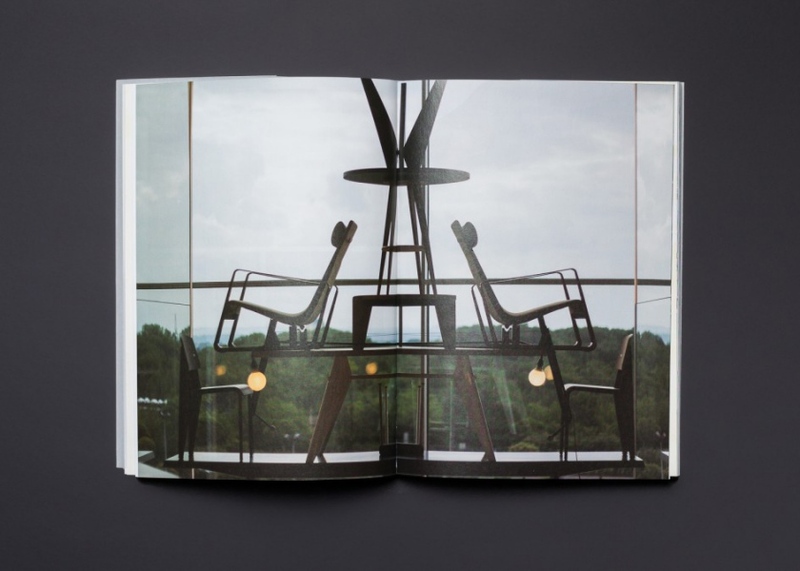 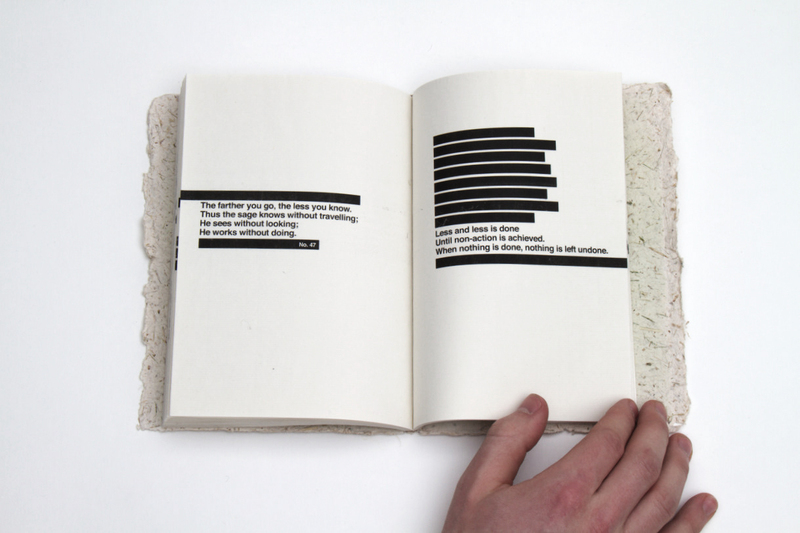 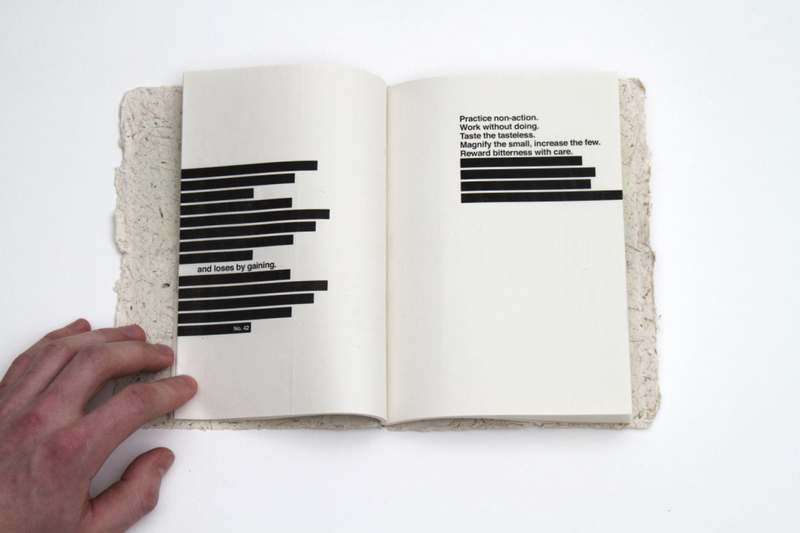 Edition 300, Printed at Production House Plaatsmaken, Arnhem, The Netherlands, 2012. 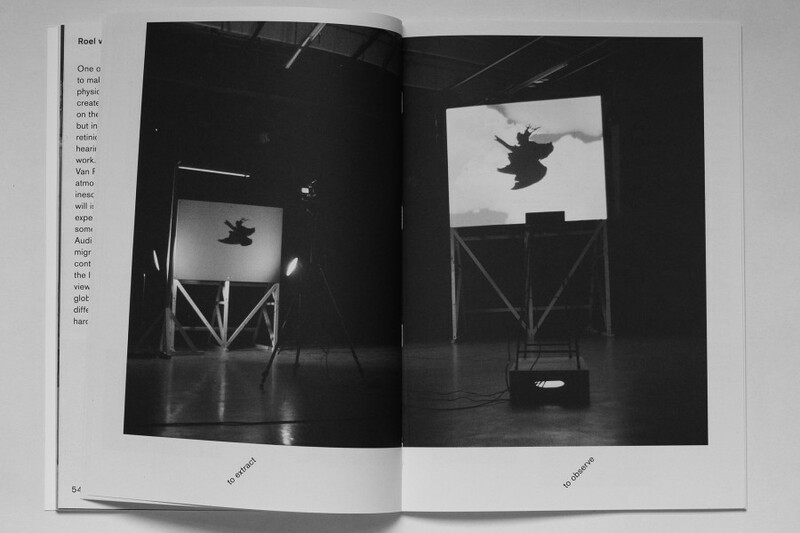 Cover Photo by Romy Lammerse. 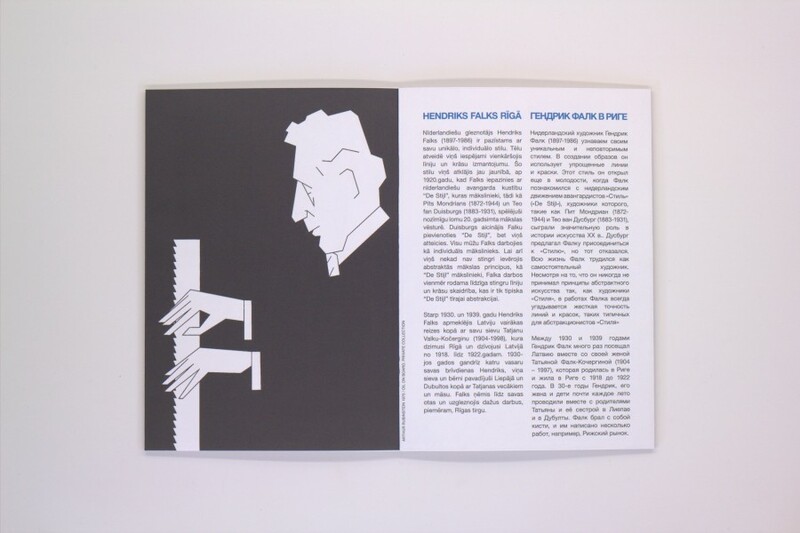 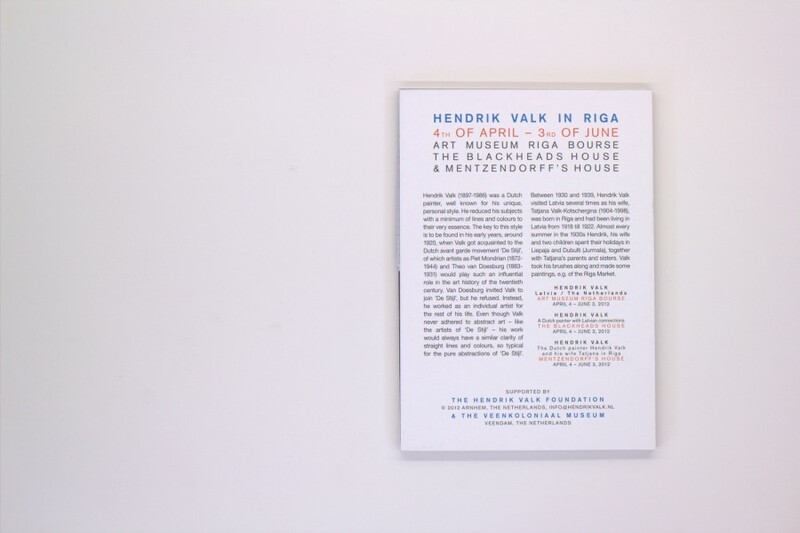 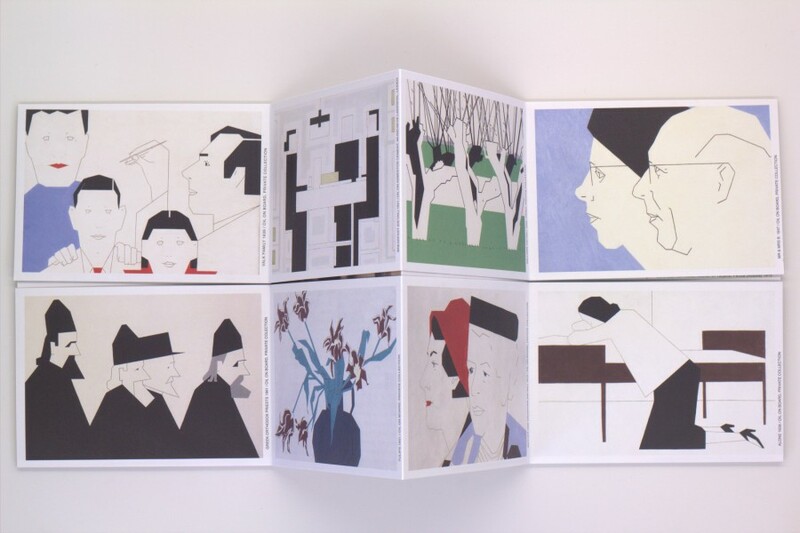 A special leporello Design for an exhibition by the dutch painter Hendrik Valk in Riga. 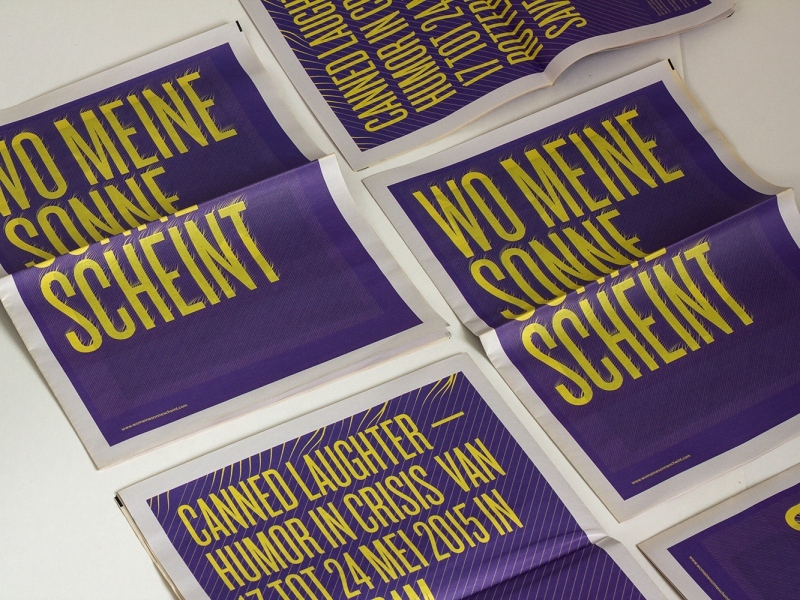 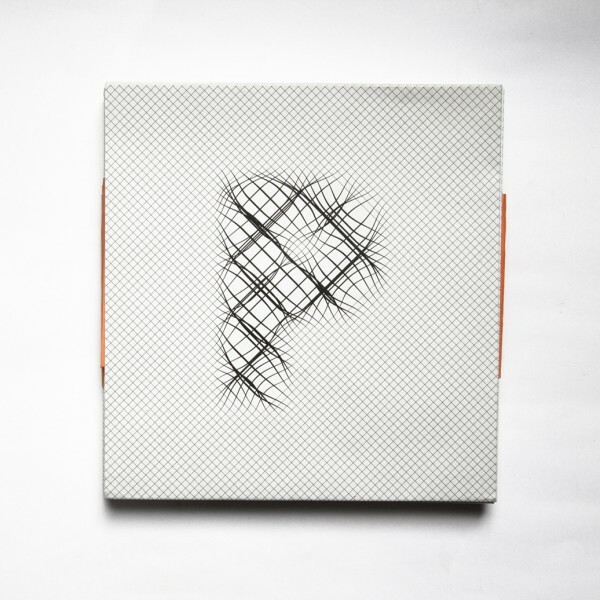 Created in collaboration with retired graphic designer Paul Plochg and production space PLAATSMAKEN. 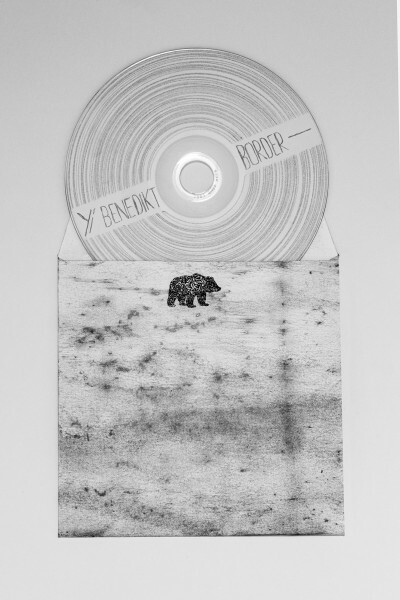 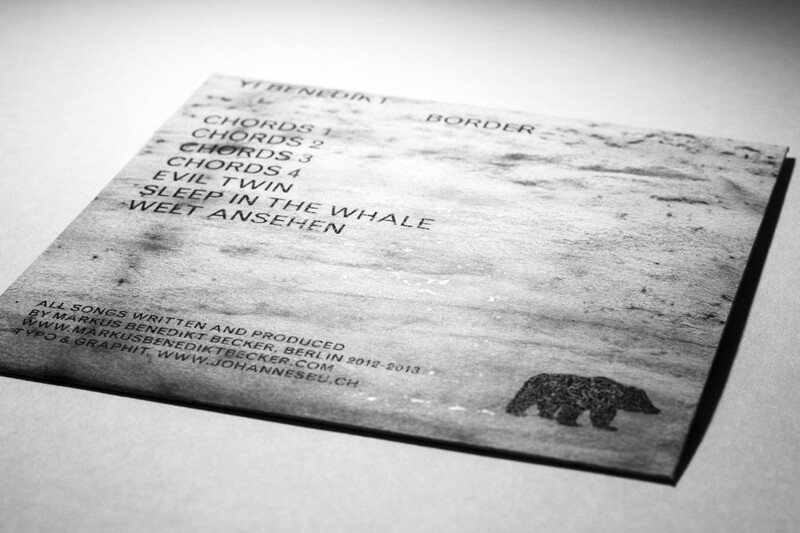 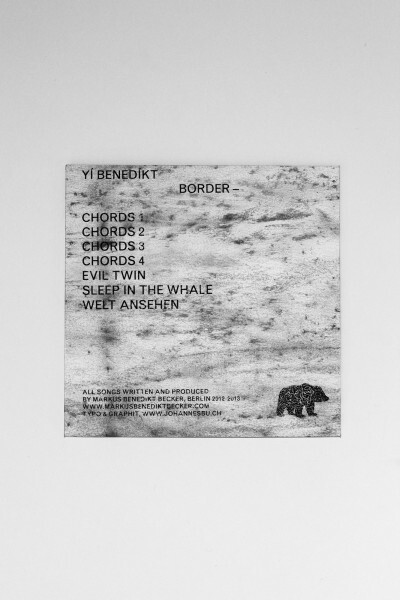 The Border– EP by Yi Benedikt was produced in close collaboration with Yi Benedikt. 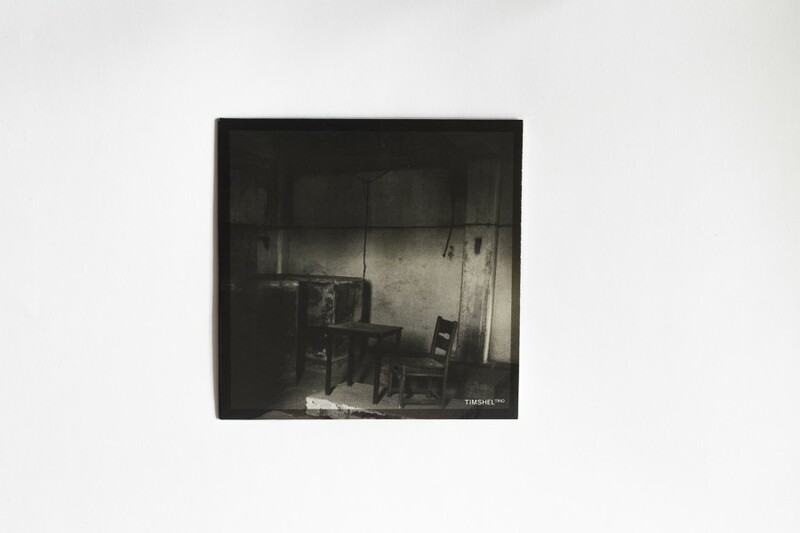 The psychological analysis of his former artworks and illustrations which are mainly drawn in sharp blacks and whites brought us to the conclusion that Yi is suffering from Border– (line) Syndrome. 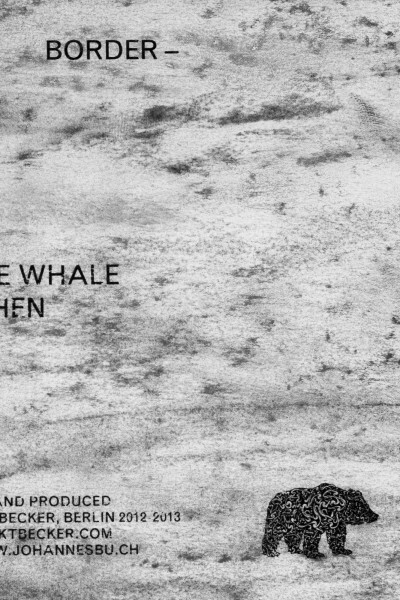 So we called the whole EP that way. 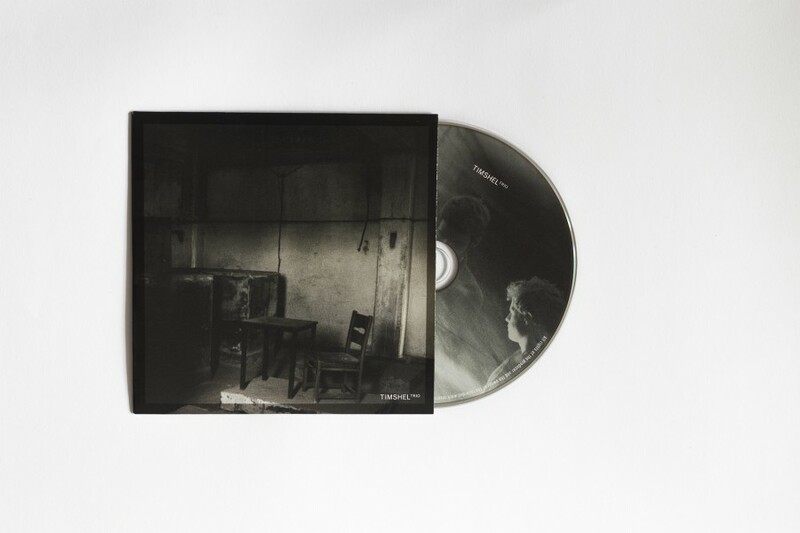 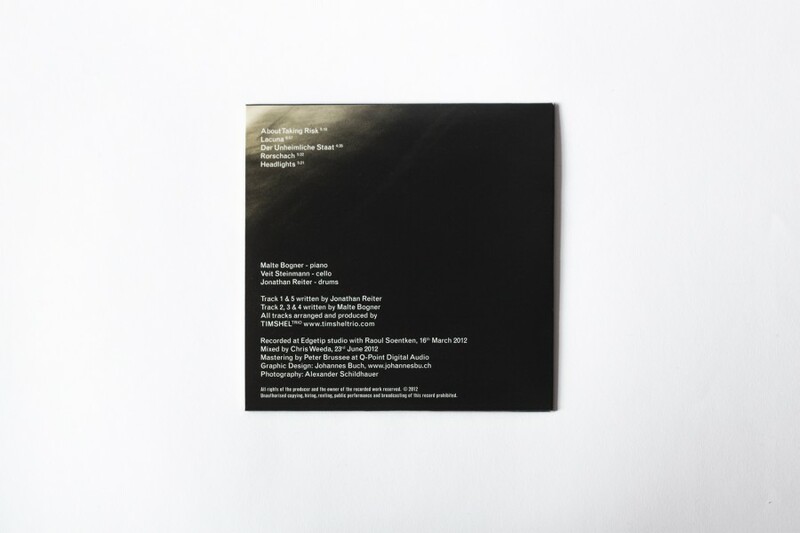 Furthermore we decided to give the whole Edition of (7) a hand drawn and spacious look for the sake of the spacious music of Yi, so we only used graphite as a printing medium. 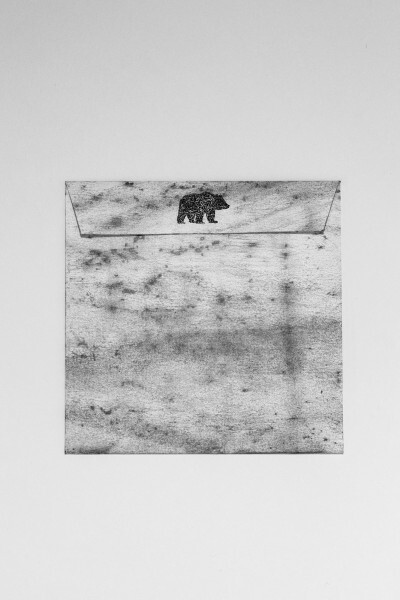 Bear illustration by Yi. 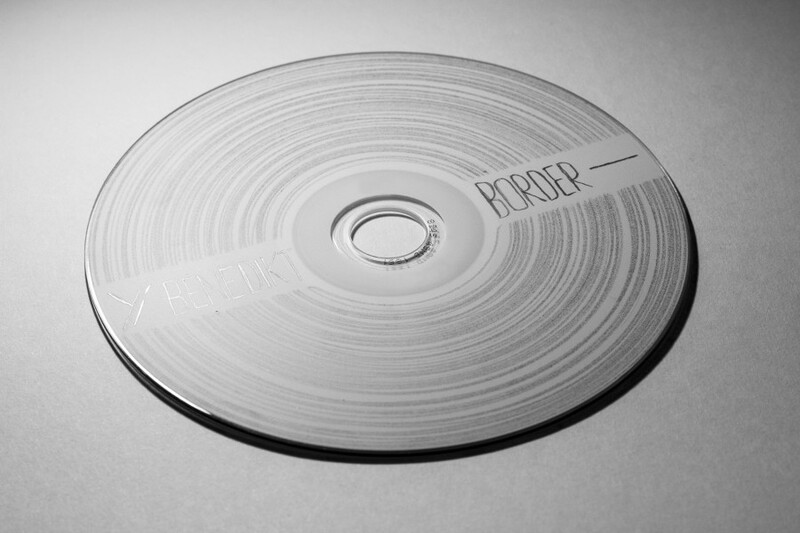 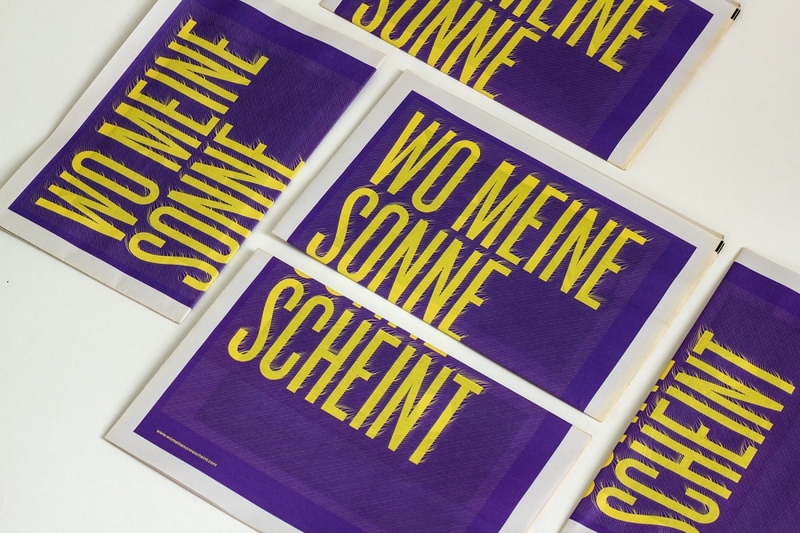 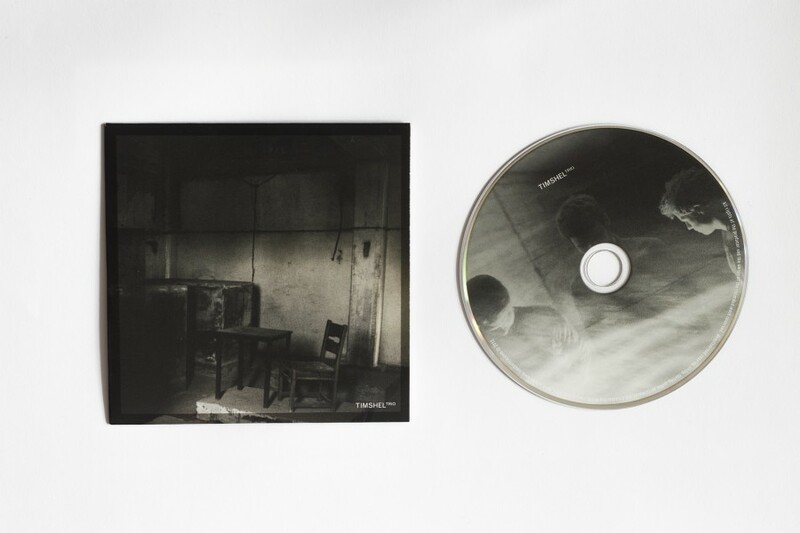 Border – EP Unboxing from Yi on Vimeo. 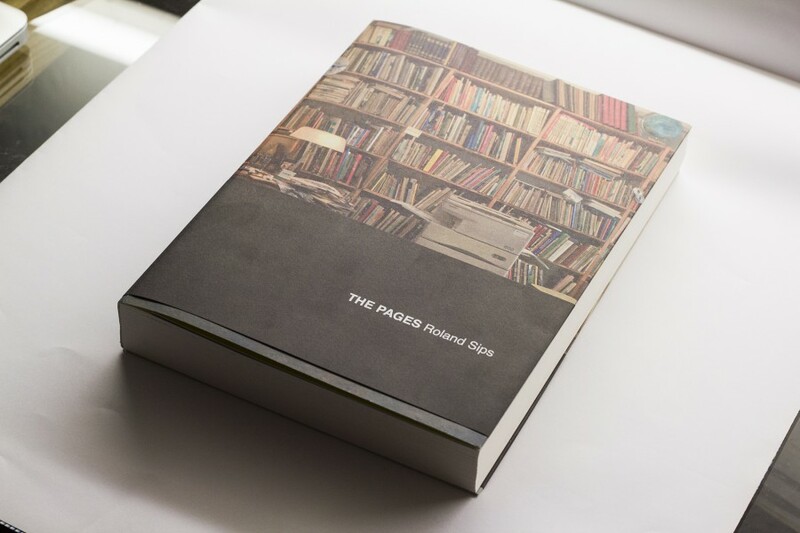 THE PAGES is a selection from the oeuvre of Roland Sips. 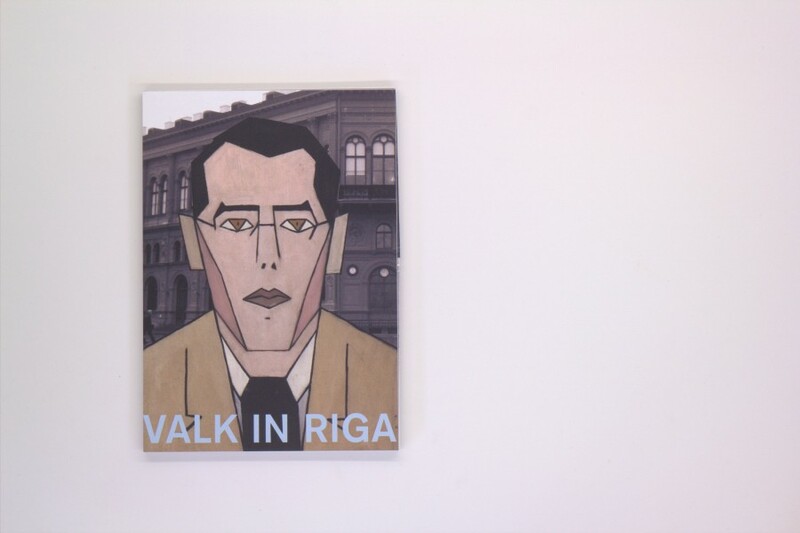 He is one of my former drawing teachers from ArtEZ Academy Enschede. 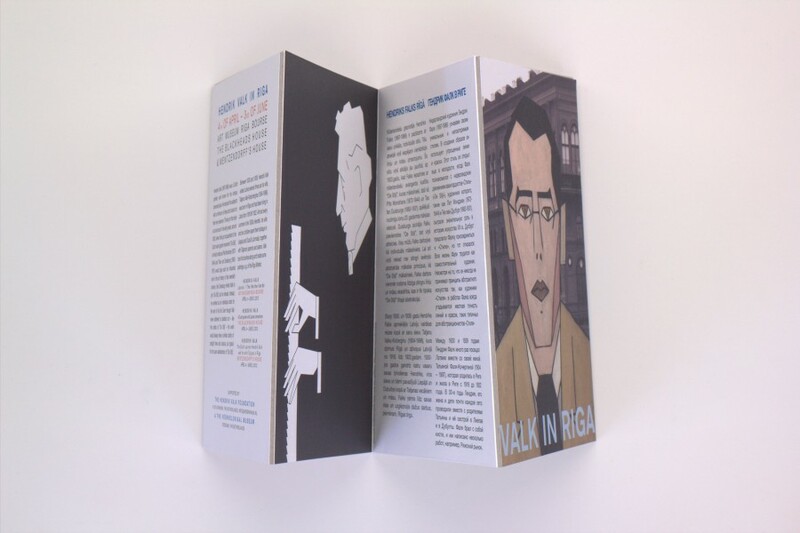 Unfortunately he passed away in April 2012 while he was actually in the long process of working on THE PAGES. 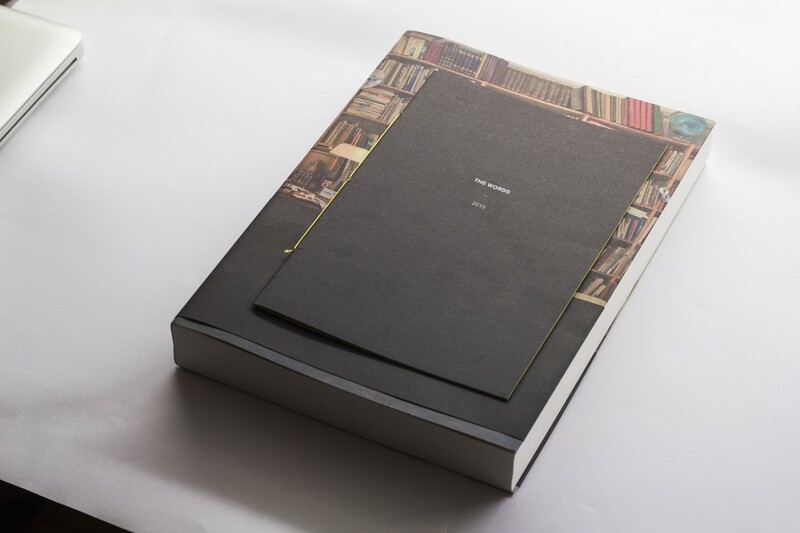 Since then we have been working on it with a couple of friends, family and colleagues from AKi Enschede to create a final selection of his mesmerizing surreal graphical overprints and drawings in form of a book and a small additional obit for the sake of his unexpected death. 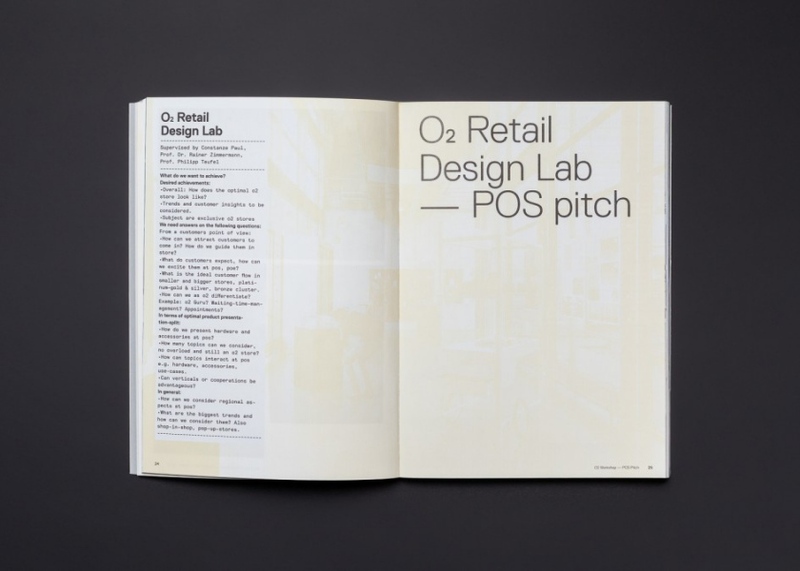 Aluf 8 (Aus Lehre und Forschung 8) is a documentation about the most recent projects of the Retail Design Bachelor studies and the Exhibition Design Masters at HSD Düsseldorf. 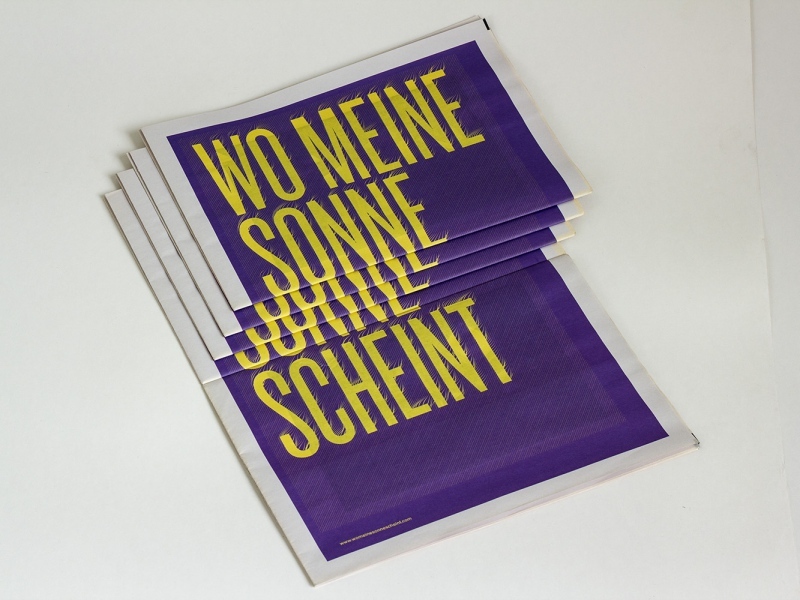 As a scientific assistant I worked on the editorial design and the layout of this publication in close collaboration with Robin Hartschen and Nayme Kapliça. 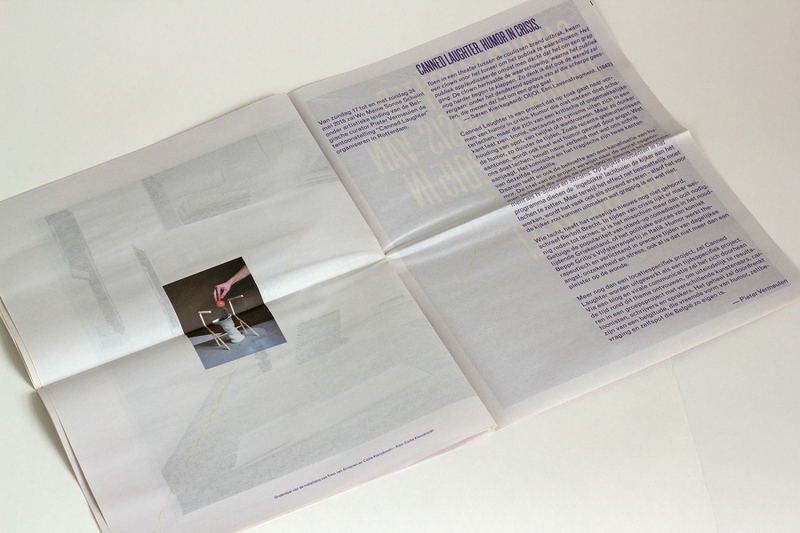 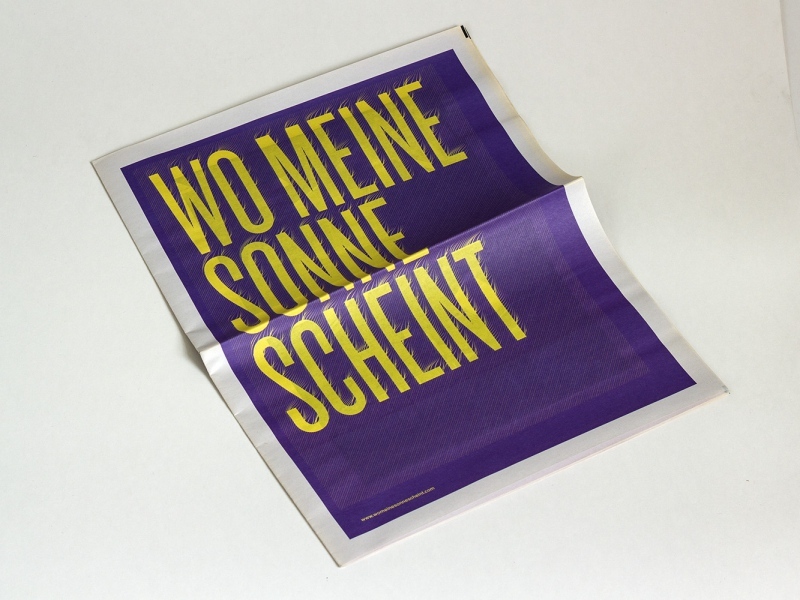 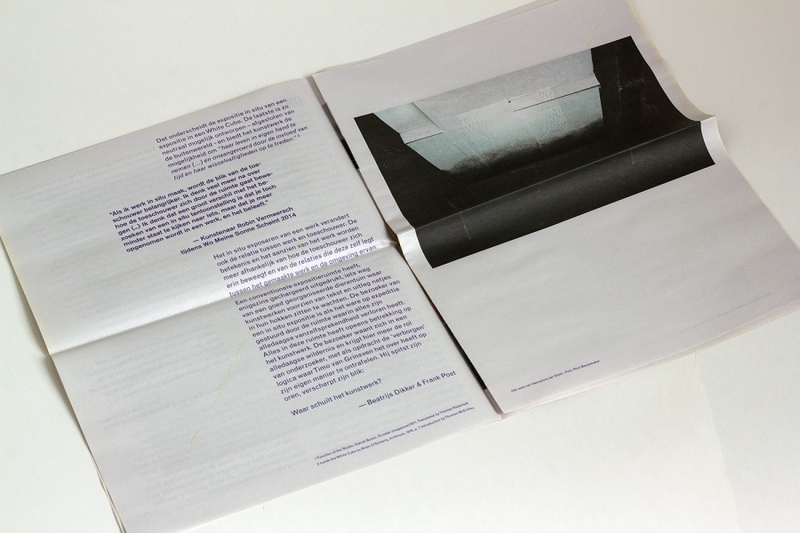 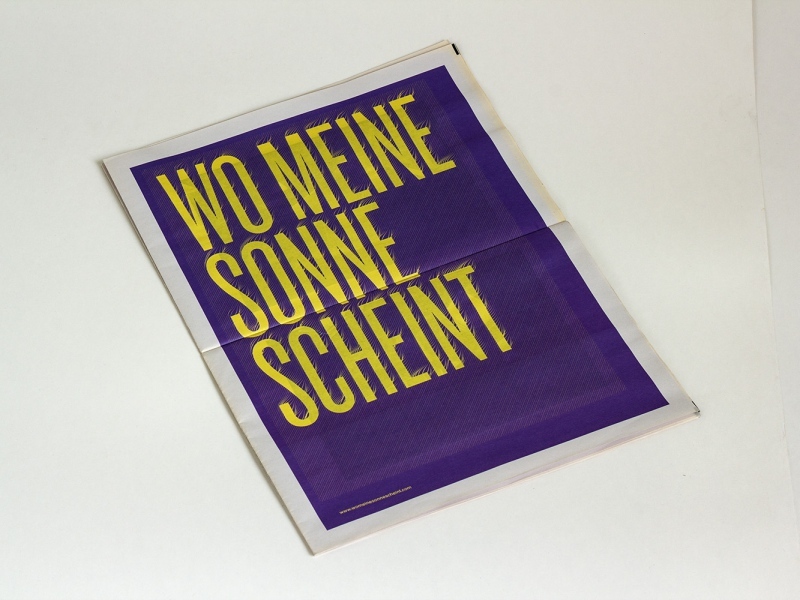 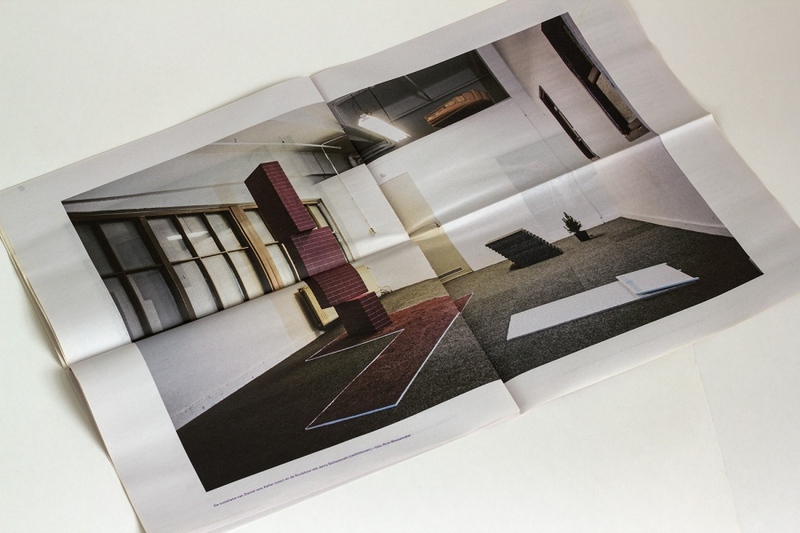 A newspaper about the Dutch Art Foundation "Wo Meine Sonne Scheint" and their first year of Practice during Rotterdam Art Week. 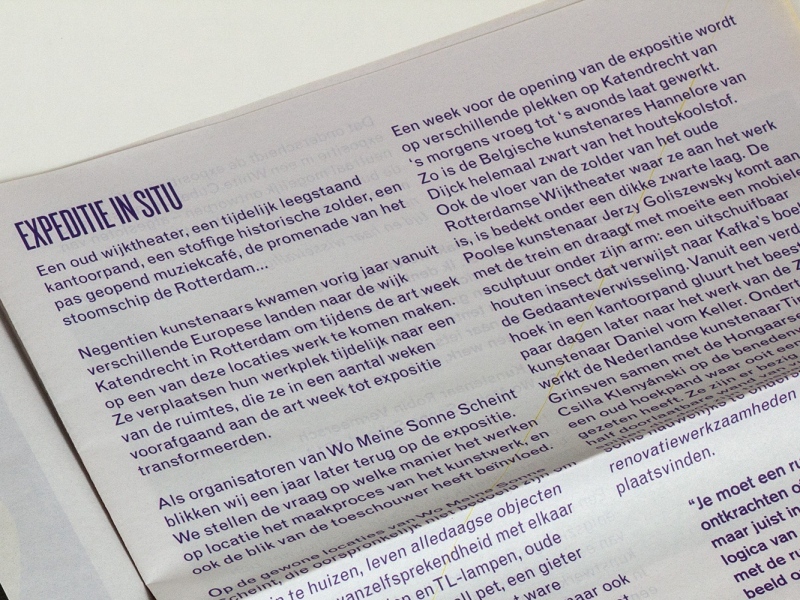 The goals of this Rotterdam-based foundation are to stimulate the development of artistic concepts and support artists in showing their work. 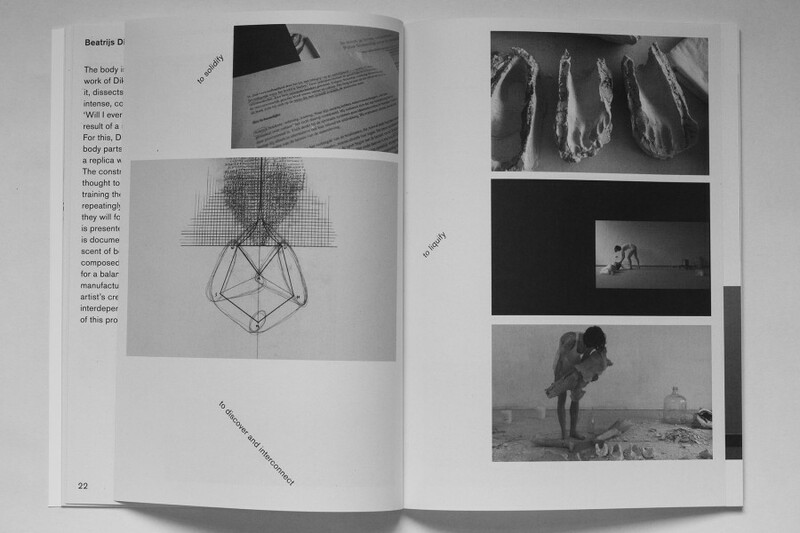 This is mainly achieved by initiating site-specific exhibitions, in where this specific theme is investigated in a both practical as a theoretical way.